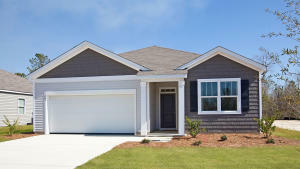 View affordably priced starter homes for sale in the Charleston SC area. Ask Eve about no down payment loans for first time buyers! ... 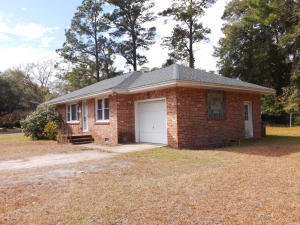 Built 1983 in Ladson on a Residential 0.28 acre 0 - .5 Acre, High lot. 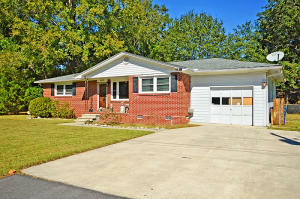 This Ranch 1 story Brick - Solid home is for sale in the Plantation Ridge neighborhood in Ladson. ... 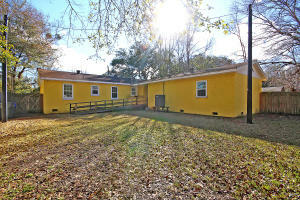 Built 1996 in North Charleston on a Residential 0.27 acre Corner, High lot. 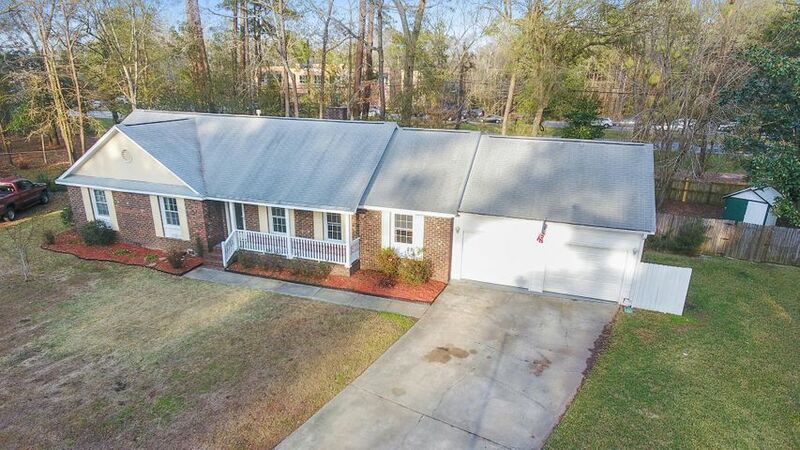 This Ranch 1 story Brick - Veneer home is for sale in the Dorchester Manor neighborhood in North Charleston. ... Built 2008 in Summerville on a Residential 0.11 acre 0 - .5 Acre, Level lot. 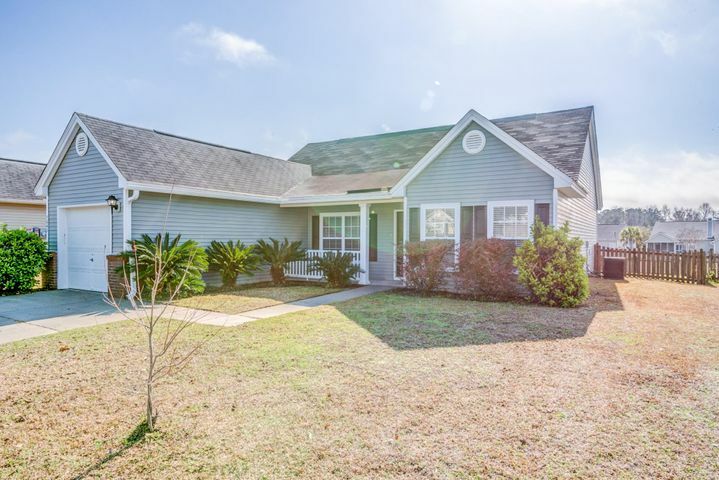 This Traditional 1 story Vinyl Siding home is for sale in the Wescott Plantation neighborhood in Summerville. ... Built 1954 in Charleston on a Residential 0.13 acre 0 - .5 Acre lot. This Traditional 1 story Block/Masonry home is for sale in the Savage neighborhood in Charleston. ... Built 1980 in North Charleston on a Residential 0 acre Cul-De-Sac, Inside lot. This Contemporary 3 story Brick - Veneer home is for sale in the Archdale neighborhood in North Charleston. ... 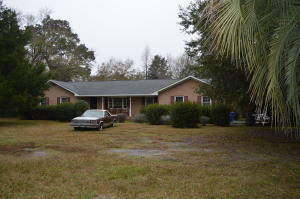 Built 1997 in Johns Island on a Residential 0.36 acre 0 - .5 Acre, Level lot. 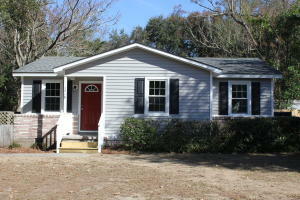 This Ranch 1 story Vinyl Siding home is for sale in the Shady Acres neighborhood in Johns Island. ... Built 1961 in Charleston on a Residential 0.29 acre lot. 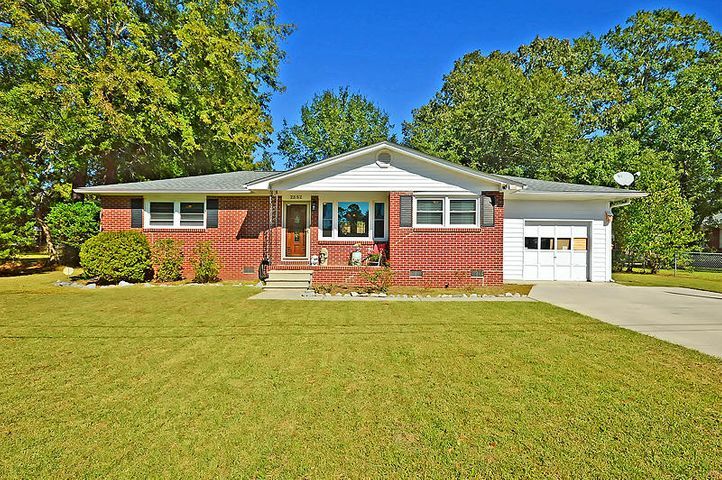 This Ranch 1 story Brick - Solid home is for sale in the Springfield neighborhood in Charleston. ... Built 2003 in Summerville on a Residential 0.22 acre Inside lot. This Traditional 2 story Vinyl Siding home is for sale in the Wescott Plantation neighborhood in Summerville. ... Built 2001 in Charleston on a Residential 0.24 acre Inside, Level lot. This Ranch 1 story Wood Siding home is for sale in the None neighborhood in Charleston. ... Built 1957 in Charleston on a Residential 0.2 acre 0 - .5 Acre, Inside lot. 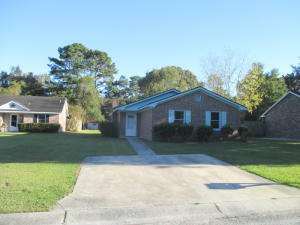 This Ranch 1 story Block/Masonry home is for sale in the Ardmore neighborhood in Charleston. ... 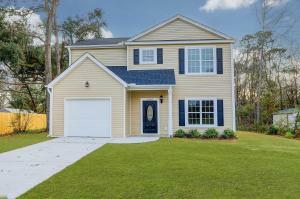 Built 2014 in Summerville on a Residential 0.1 acre 0 - .5 Acre lot. 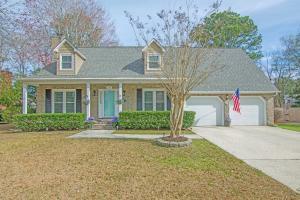 This Traditional 2 story Vinyl Siding home is for sale in the Wescott Plantation neighborhood in Summerville. ... Built 2007 in Summerville on a Residential 0.18 acre Pond Site lot. 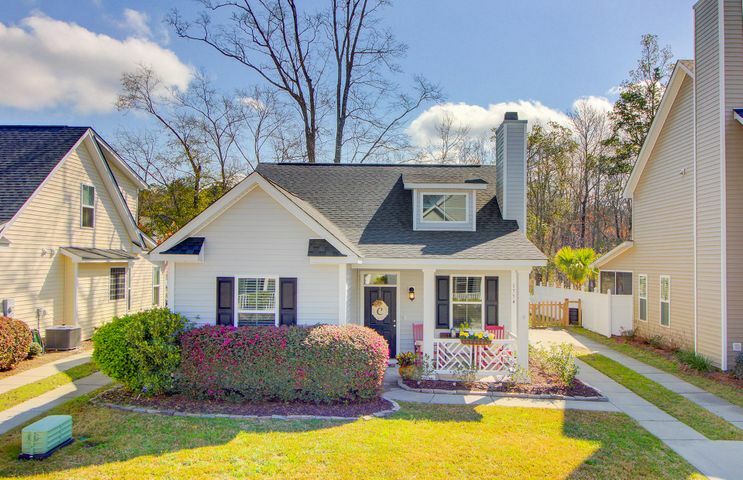 This Traditional 1 story Vinyl Siding home is for sale in the Wescott Plantation neighborhood in Summerville. ... Built 2008 in Johns Island on a Residential 0.21 acre Cul-De-Sac, Inside lot. 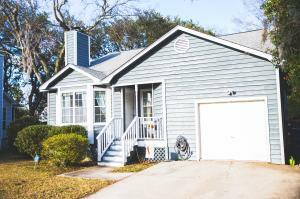 This Ranch 1 story Vinyl Siding home is for sale in the Brownswood Place neighborhood in Johns Island. ... 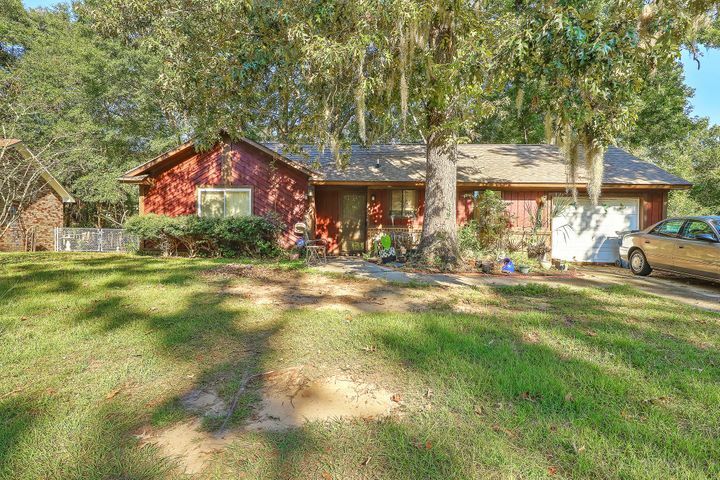 Built 1971 in Summerville on a Residential 0.36 acre 0 - .5 Acre, Cul-De-Sac lot. 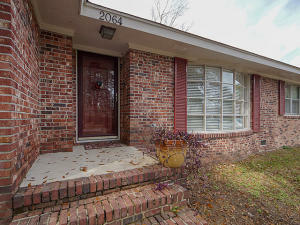 This Ranch 1 story Brick - Solid home is for sale in the Kings Grant neighborhood in Summerville. ... Built 1966 in Charleston on a Residential 0.19 acre 0 - .5 Acre, Inside lot. This Ranch 1 story Brick - Veneer home is for sale in the Ponderosa neighborhood in Charleston. ... 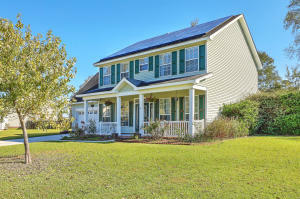 Built 2010 in North Charleston on a Residential 0.09 acre lot. 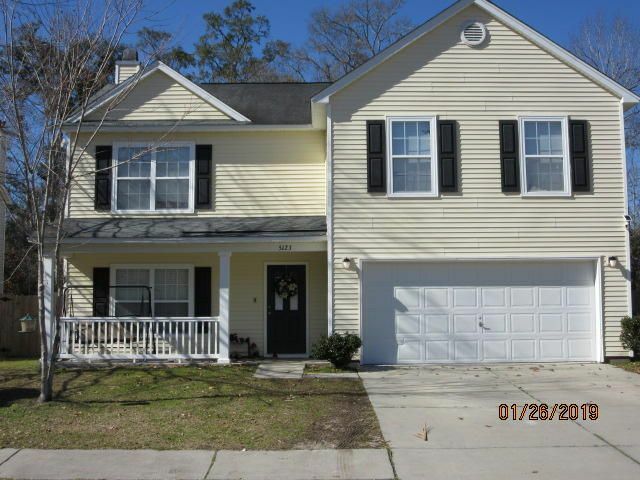 This Traditional 2 story Vinyl Siding home is for sale in the Charleston Park neighborhood in North Charleston. ... Built 2006 in Summerville on a Residential 0.19 acre 0 - .5 Acre lot. This Traditional 2 story Vinyl Siding home is for sale in the Wescott Plantation neighborhood in Summerville. ... Built 1967 in Charleston on a Residential 0.29 acre 0 - .5 Acre lot. 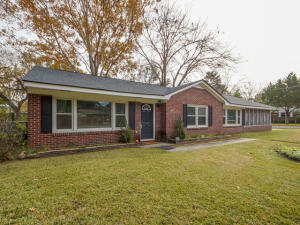 This Ranch 1 story Brick - Solid home is for sale in the Westchester neighborhood in Charleston. ... 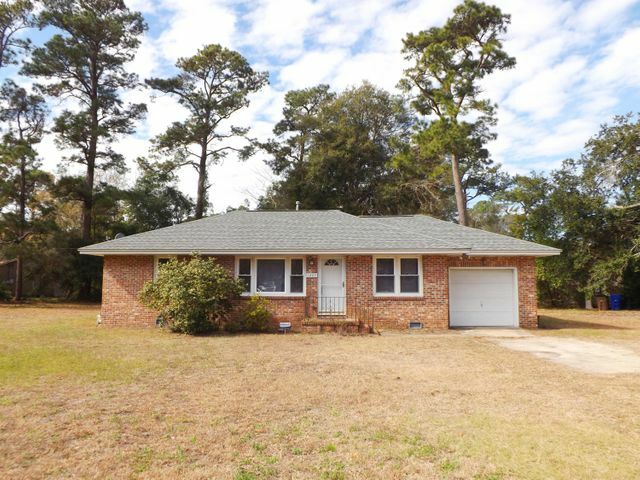 Built 2006 in Ladson on a Residential 0.17 acre 0 - .5 Acre, Inside lot. 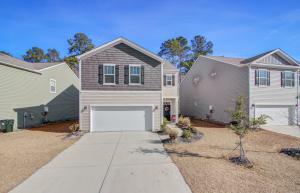 This Contemporary 1 story Vinyl Siding home is for sale in the Eagle Run neighborhood in Ladson. ... Built 2016 in Summerville on a Residential 0.07 acre .5 - 1 Acre lot. 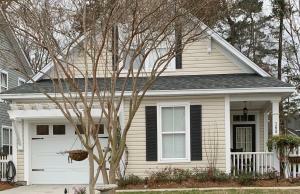 This Traditional 2 story Vinyl Siding home is for sale in the None neighborhood in Summerville. ... Built 1968 in Charleston on a Residential 0.19 acre Level lot. 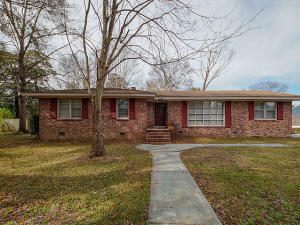 This Ranch 1 story Brick - Veneer home is for sale in the Ponderosa neighborhood in Charleston. ... Built 1997 in Charleston on a Residential 0.19 acre Level lot. This Traditional 1 story Vinyl Siding home is for sale in the Asheford Place at Canterbury Woods neighborhood in Charleston. ... 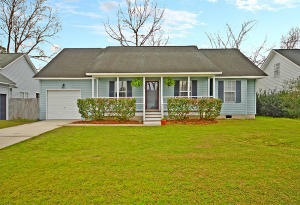 Built 1992 in North Charleston on a Residential 0.33 acre 0 - .5 Acre, Corner lot. This Traditional 2 story Vinyl Siding home is for sale in the Woodington neighborhood in North Charleston. ... 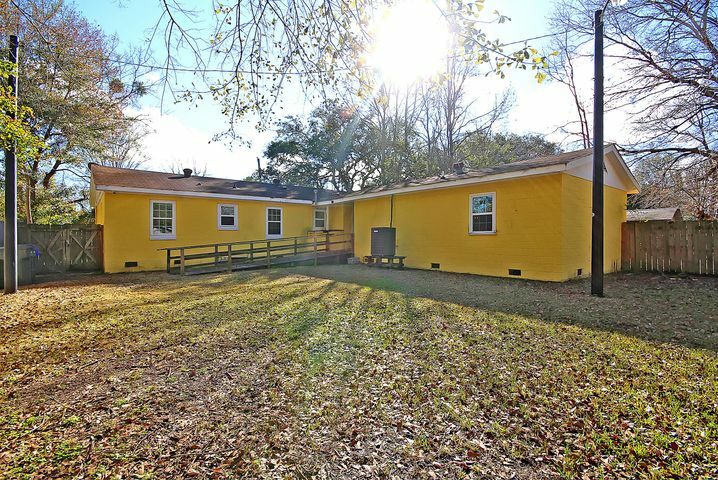 Built 1960 in Johns Island on a Residential 0.4 acre lot. 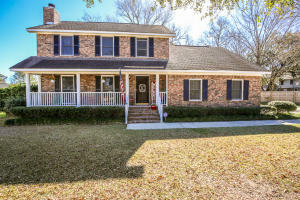 This Traditional 1 home is for sale in the Fenwick Hills neighborhood in Johns Island. ... 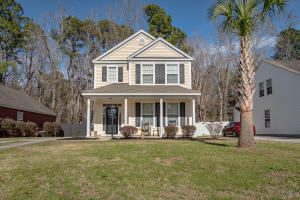 Built 2019 in Ladson on a Residential 0.23 acre 0 - .5 Acre, Level lot. 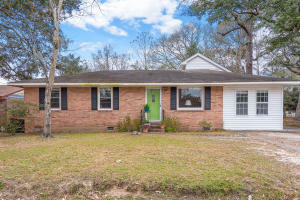 This Ranch 1 story Vinyl Siding home is for sale in the Mckewn neighborhood in Ladson. ... 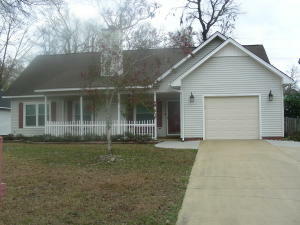 Built 2007 in Summerville on a Residential 0.22 acre 0 - .5 Acre, Pond lot. 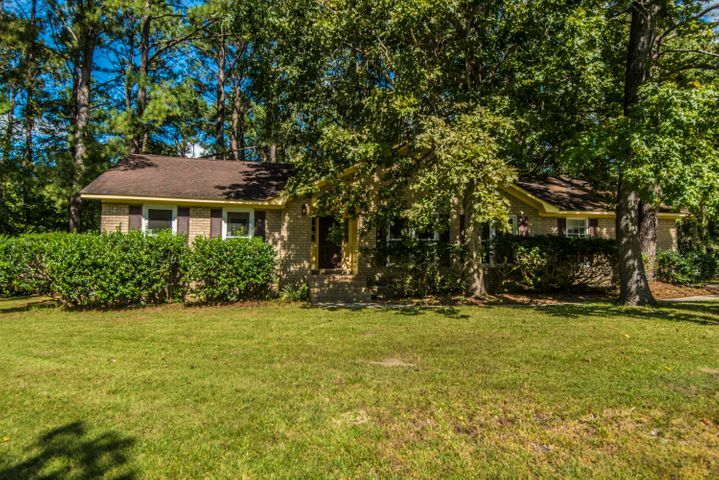 This Ranch 1 story Vinyl Siding home is for sale in the Wescott Plantation neighborhood in Summerville. ... Built 1994 in Charleston on a Residential 0.26 acre 0 - .5 Acre, Cul-De-Sac lot. This Ranch 1 story Vinyl Siding home is for sale in the Village Green neighborhood in Charleston. ... Built 1964 in Charleston on a Residential 0.17 acre Inside, Level lot. This Ranch 1 story Brick - Veneer home is for sale in the Bayfront neighborhood in Charleston. ... Built 1988 in Charleston on a Residential 0.45 acre lot. 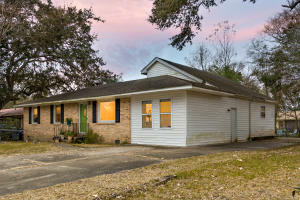 This Ranch 1 home is for sale in the Bruno Acres neighborhood in Charleston. ... Built 1959 in Charleston on a Residential 0.35 acre Level lot. This Ranch 1 story Brick - Veneer home is for sale in the Old Orchard neighborhood in Charleston. ... Built 1963 in Charleston on a Residential 0.36 acre 0 - .5 Acre, Inside lot. This Ranch 1 story Brick - Veneer home is for sale in the Magnolia Ranch neighborhood in Charleston. ... Built 1984 in Charleston on a Residential 0.2 acre 0 - .5 Acre, Level lot. 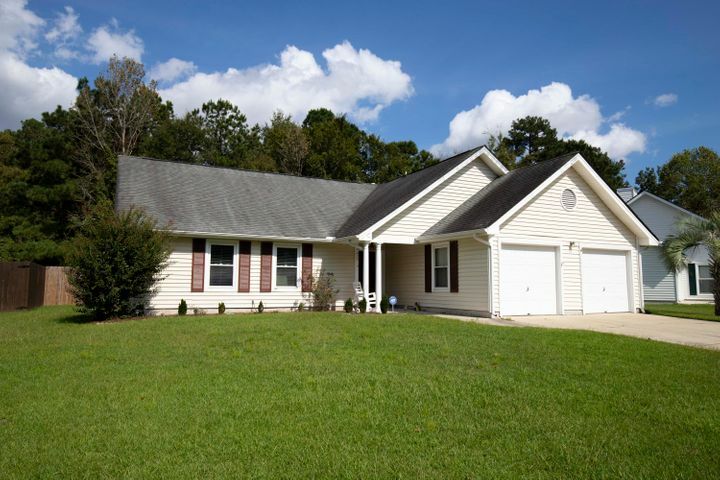 This Ranch 1 story Vinyl Siding home is for sale in the Shadowmoss neighborhood in Charleston. ... Built 2006 in North Charleston on a Residential 0.2 acre lot. 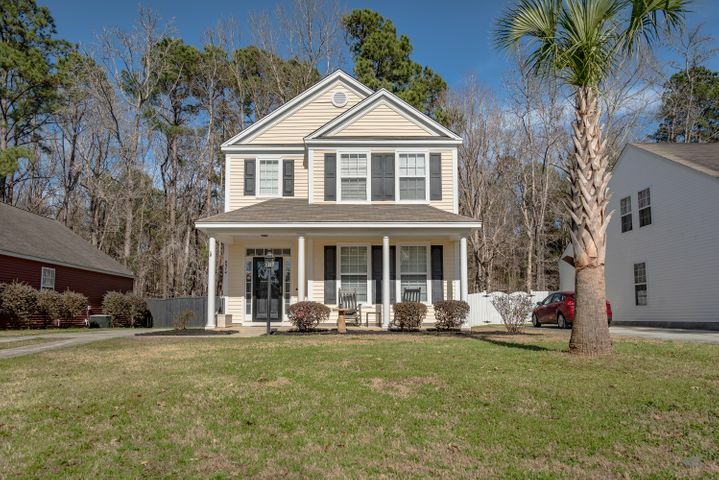 This Traditional 2 story Vinyl Siding home is for sale in the Marsh Hall neighborhood in North Charleston. ... Built 2017 in Ladson on a Residential 0.11 acre .5 - 1 Acre lot. 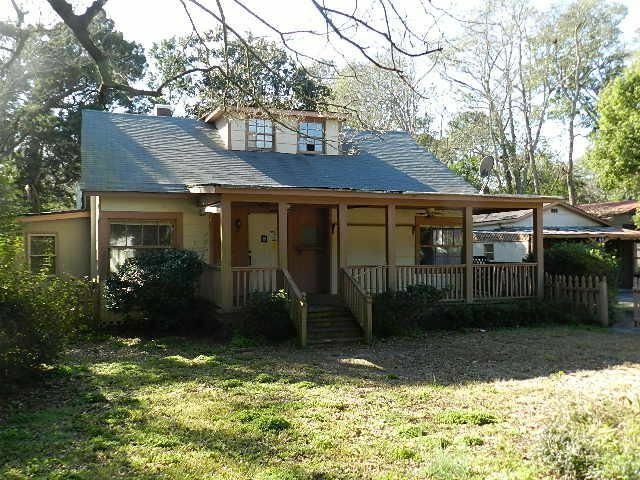 This Traditional 1 story Vinyl Siding home is for sale in the Mckewn neighborhood in Ladson. ... Built 1940 in Charleston on a Residential 0.28 acre Level lot. 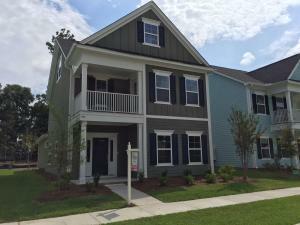 This Craftsman 2 story home is for sale in the Stono Terrace neighborhood in Charleston. ... Built 1986 in Charleston on a Residential 0.22 acre 0 - .5 Acre lot. This Traditional 1 story Wood Siding home is for sale in the Willow Walk neighborhood in Charleston. ... Built 2006 in Summerville on a Residential 0.17 acre Level lot. 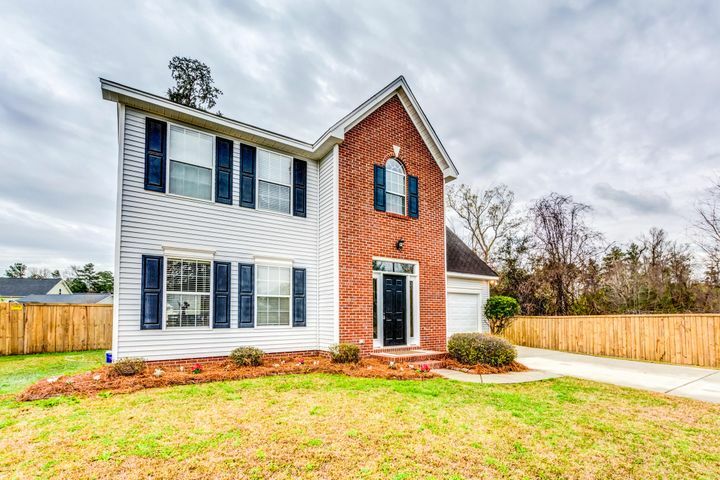 This Traditional 2 story Vinyl Siding home is for sale in the Wescott Plantation neighborhood in Summerville. ... Built 1950 in Charleston on a Residential 0.26 acre 0 - .5 Acre, Level lot. 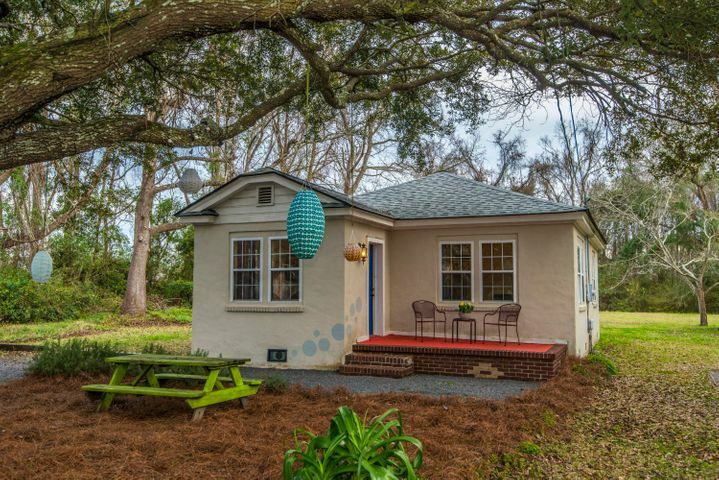 This Cottage 1 story Stucco home is for sale in the None neighborhood in Charleston. ... Built 2001 in North Charleston on a Residential 0.5 acre lot. 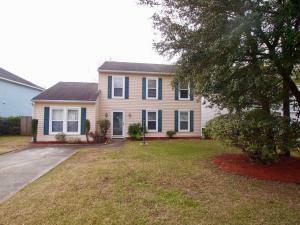 This Traditional 2 story Vinyl Siding home is for sale in the Marsh Hall neighborhood in North Charleston. ... 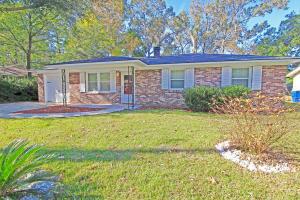 Built 1983 in North Charleston on a Residential 0.25 acre 0 - .5 Acre, Corner lot. 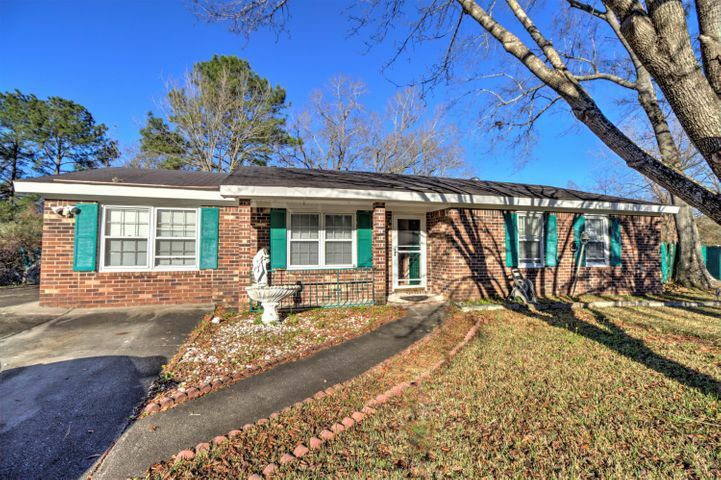 This Ranch 1 story Brick - Veneer home is for sale in the Archdale neighborhood in North Charleston. ... 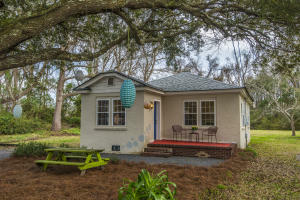 Built 2012 in Johns Island on a Residential 0.11 acre lot. 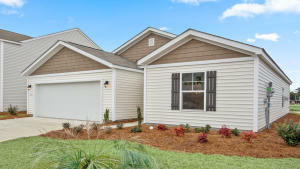 This Cottage 1 story Vinyl Siding home is for sale in the St Johns Crossing neighborhood in Johns Island. ... Built 1989 in Charleston on a Residential 0.23 acre 0 - .5 Acre lot. This Ranch 1 story Vinyl Siding home is for sale in the Riverchase neighborhood in Charleston. ... Built 1990 in Charleston on a Residential 0.16 acre High, Level lot. This Ranch 1 story Vinyl Siding home is for sale in the Citadel Woods neighborhood in Charleston. ... 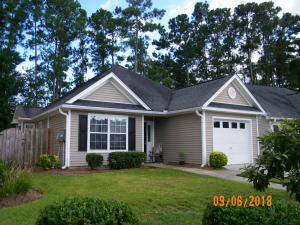 Built 2003 in Ladson on a Residential 0.2 acre Other (Use Remarks) lot. 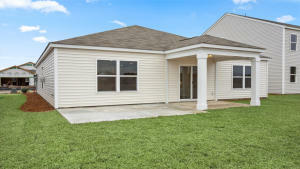 This Contemporary 2 story Vinyl Siding home is for sale in the Summerhaven neighborhood in Ladson. ... Built 1959 in Charleston on a Residential 0.23 acre Corner, High lot. 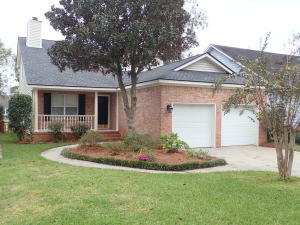 This Ranch 1 story Brick - Solid home is for sale in the Air Harbor neighborhood in Charleston. ... 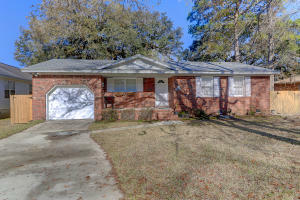 Built 1995 in North Charleston on a Residential 0.28 acre 0 - .5 Acre, Cul-De-Sac lot. This Ranch 1 story Vinyl Siding home is for sale in the Whitehall neighborhood in North Charleston. ... Built 2005 in Summerville on a Residential 0.15 acre Inside lot. 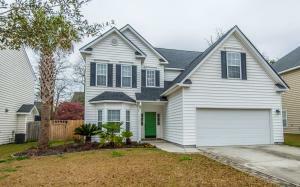 This Traditional 2 story Vinyl Siding home is for sale in the Wescott Plantation neighborhood in Summerville. ... 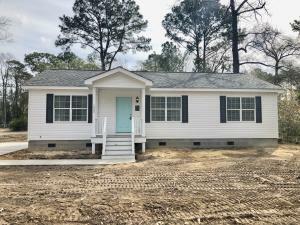 Built 2019 in Ladson on a Residential 0.17 acre 0 - .5 Acre lot. 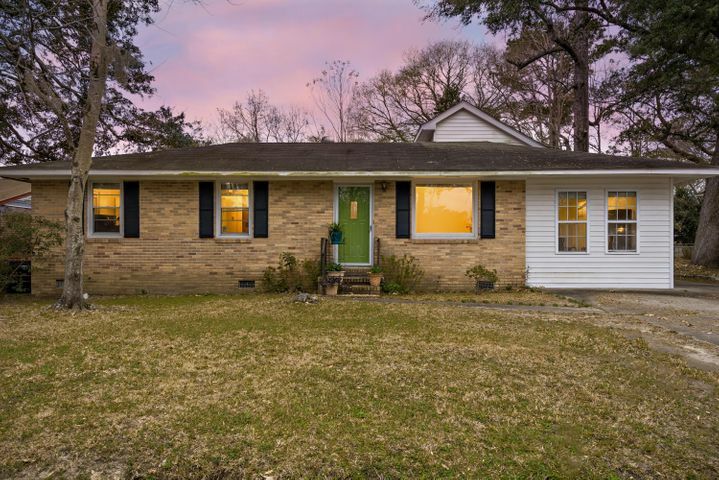 This Ranch 1 story Vinyl Siding home is for sale in the Mckewn neighborhood in Ladson. ... Built 1987 in Charleston on a Residential 0.11 acre 0 - .5 Acre, Level lot. This Contemporary 2 story Vinyl Siding home is for sale in the Canterbury Woods neighborhood in Charleston. ... Built 1957 in Charleston on a Residential 0.06 acre 0 - .5 Acre lot. This Traditional 1 story Aluminum Siding home is for sale in the Maryville neighborhood in Charleston. ... Built 1989 in Charleston on a Residential 0.12 acre On Golf Course lot. This Traditional 2 story Brick - Solid home is for sale in the Shadowmoss neighborhood in Charleston. ... Built 1952 in Charleston on a Residential 0.14 acre lot. This Traditional 1 story Block/Masonry home is for sale in the Ashley Forest neighborhood in Charleston. ... Built 1978 in Charleston on a Residential 0.18 acre 0 - .5 Acre lot. This Traditional 1 story Brick - Solid home is for sale in the Pierpont Point neighborhood in Charleston. ... Built 2006 in Summerville on a Residential 0.19 acre lot. This Traditional 2 story Vinyl Siding home is for sale in the Wescott Plantation neighborhood in Summerville. ... Built 2019 in Ladson on a Residential 0.12 acre 0 - .5 Acre, Cul-De-Sac lot. 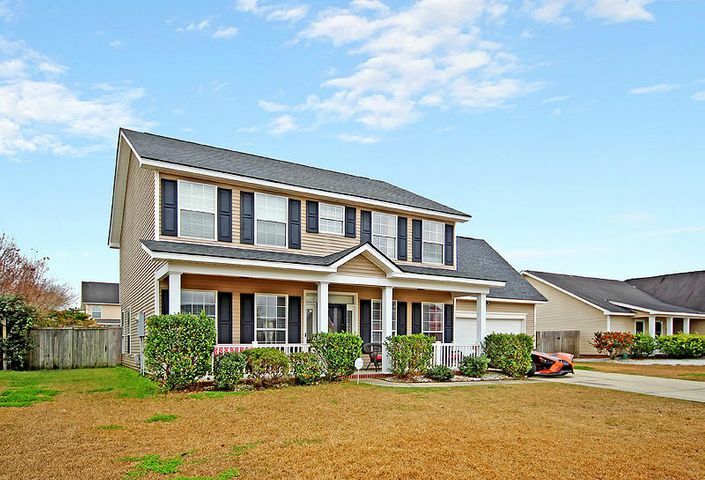 This Traditional 2 story Vinyl Siding home is for sale in the Mckewn neighborhood in Ladson. ... Built 1979 in Charleston on a Residential 0.36 acre 0 - .5 Acre, Corner lot. 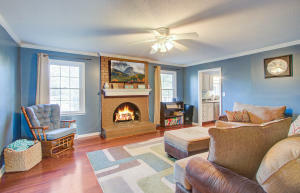 This Patio 1 story Brick - Front home is for sale in the Shaftesbury neighborhood in Charleston. ... Built 1986 in Charleston on a Residential 0.28 acre Inside lot. This Ranch 1 story Wood Siding home is for sale in the Willow Walk neighborhood in Charleston. ... Built 2018 in Johns Island on a Residential 0.38 acre lot. This Traditional 2 story Vinyl Siding home is for sale in the Fenwick Hills neighborhood in Johns Island. ... Built 1994 in Charleston on a Residential 0.15 acre Inside, Level lot. 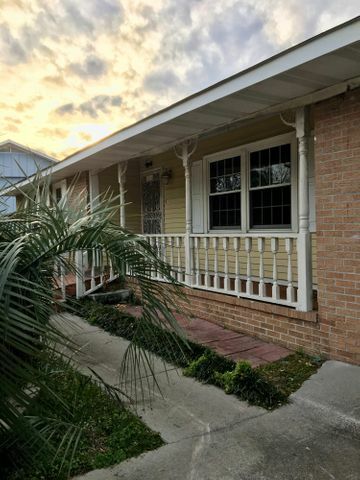 This Charleston Single 1 story Vinyl Siding home is for sale in the Riverfront neighborhood in Charleston. ... Built 1981 in Charleston on a Residential 0.24 acre 0 - .5 Acre lot. 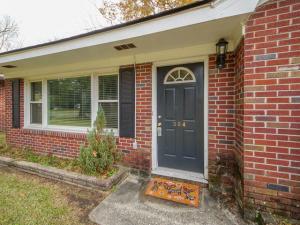 This Ranch 1 story Brick - Veneer home is for sale in the Longbranch neighborhood in Charleston. ... Built 1972 in Charleston on a Residential 0.25 acre Corner, Level lot. This Ranch 1 story Brick - Veneer home is for sale in the Air Harbor neighborhood in Charleston. ... Built 1991 in Charleston on a Residential 0.11 acre Cul-De-Sac, Level lot. This Traditional 2 story Vinyl Siding home is for sale in the Shadowmoss neighborhood in Charleston. ... Built 2007 in Summerville on a Residential 0.2 acre lot. 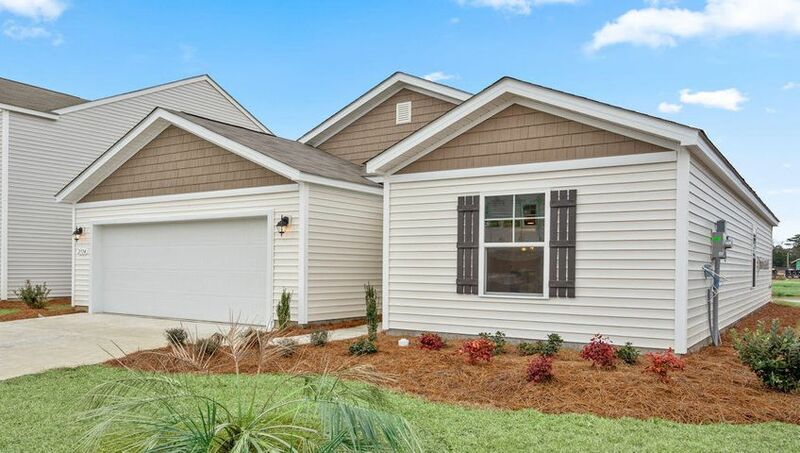 This Charleston Single 2 story Vinyl Siding home is for sale in the Wescott Plantation neighborhood in Summerville. ... Built 2018 in Charleston on a Residential 0.06 acre Inside lot. 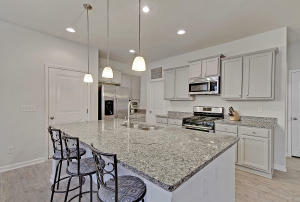 This Cottage 2 story Cement Plank home is for sale in the Pinecrest Gardens neighborhood in Charleston. ... Built 1966 in Charleston on a Residential 0.34 acre 0 - .5 Acre, High lot. 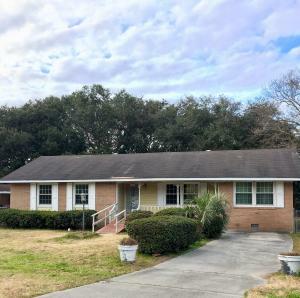 This Ranch 1 story Brick - Veneer home is for sale in the Lighthouse Point neighborhood in Charleston. ... 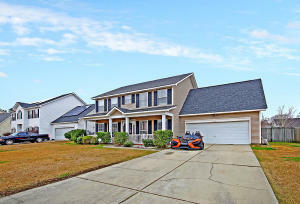 Built 2019 in Ladson on a Residential 0.23 acre 0 - .5 Acre, Pond lot. This Traditional 2 story Vinyl Siding home is for sale in the Mckewn neighborhood in Ladson. ... Built 2000 in Charleston on a Residential 0.2 acre Inside, Level lot. 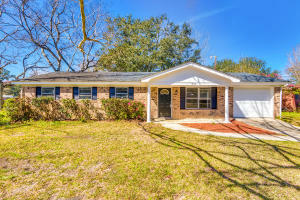 This Ranch 1 story home is for sale in the Grand Oaks Plantation neighborhood in Charleston. ... Built 1984 in North Charleston on a Residential 0.34 acre Cul-De-Sac, Level lot. This Traditional 2 story Brick - Veneer home is for sale in the Archdale neighborhood in North Charleston. ... Built 1981 in Charleston on a Residential 0.25 acre 0 - .5 Acre, Corner lot. 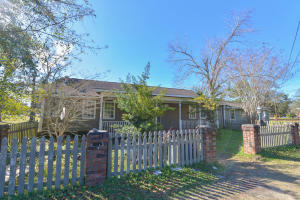 This Ranch 1 story Block/Masonry home is for sale in the Mccalls Corner neighborhood in Charleston. ... Built 1986 in Charleston on a Residential 0.25 acre 0 - .5 Acre, Cul-De-Sac lot. This Contemporary 1 story home is for sale in the Willow Walk neighborhood in Charleston. ... Built 2018 in Johns Island on a Residential 0.4 acre 0 - .5 Acre, Level lot. This Traditional 2 story Vinyl Siding home is for sale in the Fenwick Hills neighborhood in Johns Island. ... Built 2018 in Johns Island on a Residential 0.08 acre Wooded lot. 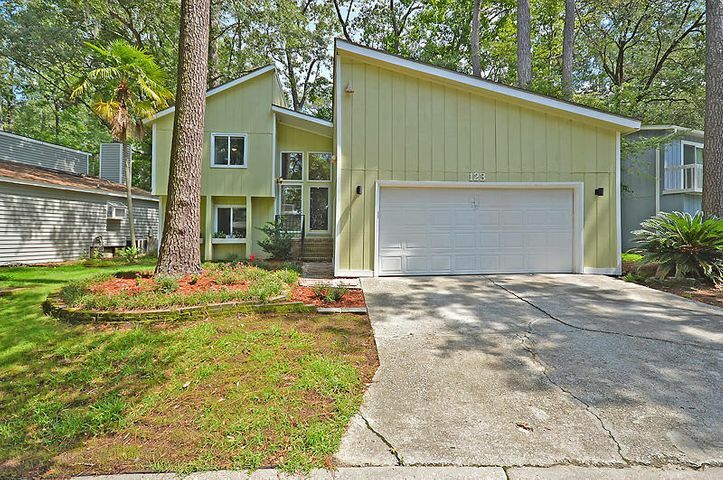 This Charleston Single 2 story Cement Plank home is for sale in the The Oaks at St Johns Crossing neighborhood in Johns Island. ... Built 1983 in Charleston on a Residential 0.29 acre 0 - .5 Acre, Corner lot. This Contemporary 2 story Vinyl Siding home is for sale in the Ashleytowne Landing neighborhood in Charleston. ... 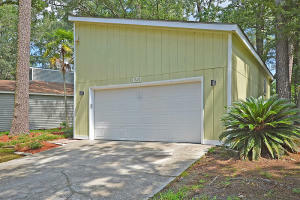 Built 2001 in North Charleston on a Residential 0.3 acre 0 - .5 Acre lot. 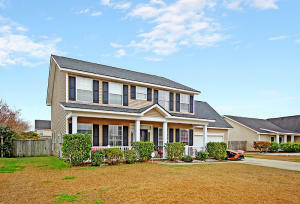 This Traditional 2 story home is for sale in the Marsh Hall neighborhood in North Charleston. ... 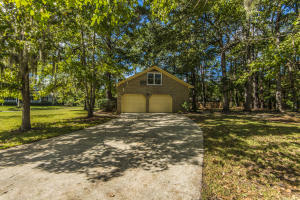 Built 2004 in Johns Island on a Residential 0.25 acre Cul-De-Sac, Inside lot. 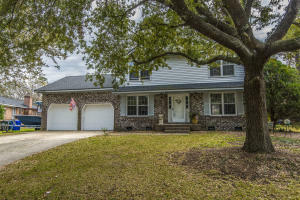 This Traditional 2 story Vinyl Siding home is for sale in the Summertrees neighborhood in Johns Island. ... Built 2007 in Summerville on a Residential 0.18 acre 0 - .5 Acre, Cul-De-Sac lot. 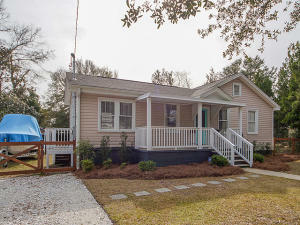 This Traditional 1 story Aluminum Siding home is for sale in the Wescott Plantation neighborhood in Summerville. ... Built 2017 in Ladson on a Residential 0.12 acre .5 - 1 Acre lot. 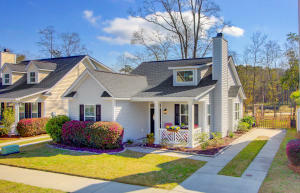 This Traditional 2 story Vinyl Siding home is for sale in the Mckewn neighborhood in Ladson. ... 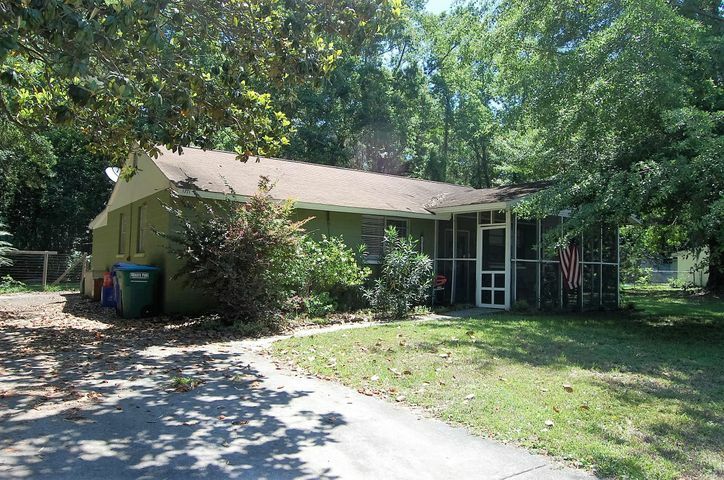 Built 1971 in Summerville on a Residential 0.3 acre 0 - .5 Acre, Cul-De-Sac lot. This Traditional 2 story Brick - Veneer home is for sale in the Kings Grant neighborhood in Summerville. ... Built 1979 in North Charleston on a Residential 0.28 acre lot. This Traditional 2 story Brick - Veneer home is for sale in the Archdale neighborhood in North Charleston. ... Built 1966 in Charleston on a Residential 1.5 acre 1 - 2 Acres lot. This Ranch 1 story Brick - Veneer home is for sale in the None neighborhood in Charleston. ... Built 1936 in Charleston on a Residential 0.46 acre Inside, Level lot. 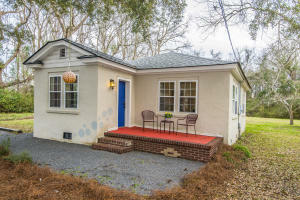 This Cottage 1 story Vinyl Siding home is for sale in the Fairfield Pines neighborhood in Charleston. ... 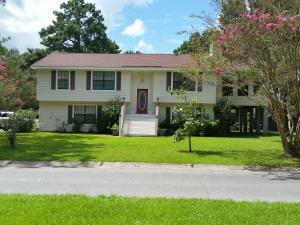 Built 1992 in Charleston on a Residential 0.36 acre 0 - .5 Acre, Cul-De-Sac lot. This Traditional 1 story Wood Siding home is for sale in the Park Place neighborhood in Charleston. ... Built 2017 in Ladson on a Residential 0.17 acre Wooded lot. 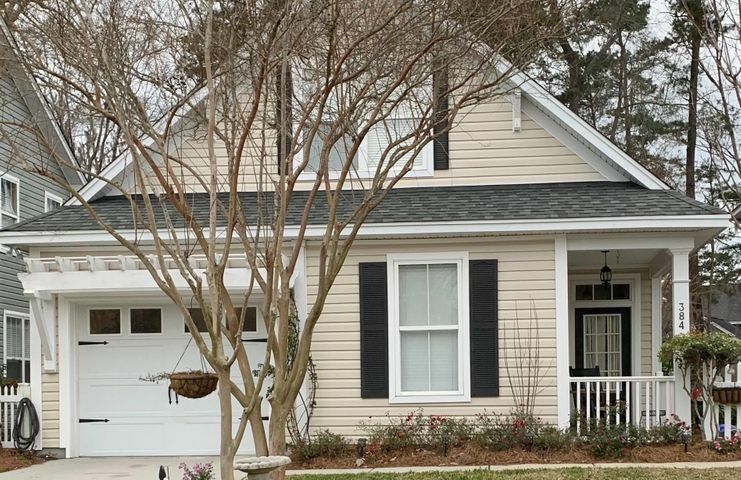 This Traditional 2 story Vinyl Siding home is for sale in the Mckewn neighborhood in Ladson. ... 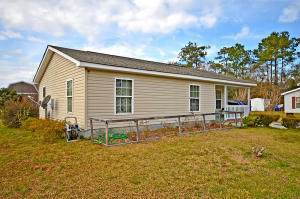 Built 2004 in North Charleston on a Residential 0.29 acre 0 - .5 Acre lot. 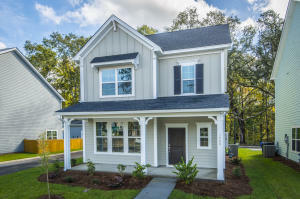 This Traditional 2 story Vinyl Siding home is for sale in the Indigo Fields neighborhood in North Charleston. ... 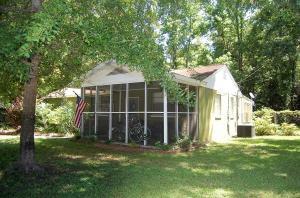 Built 1975 in Charleston on a Residential 0.12 acre 0 - .5 Acre, Inside lot. This Traditional 2 story Brick - Veneer home is for sale in the Drayton On The Ashley neighborhood in Charleston. ... Built 1989 in Charleston on a Residential 0.29 acre Corner lot. This Traditional 2 story Vinyl Siding home is for sale in the Canterbury Woods neighborhood in Charleston. ... Built 2004 in Johns Island on a Residential 0.21 acre Cul-De-Sac lot. 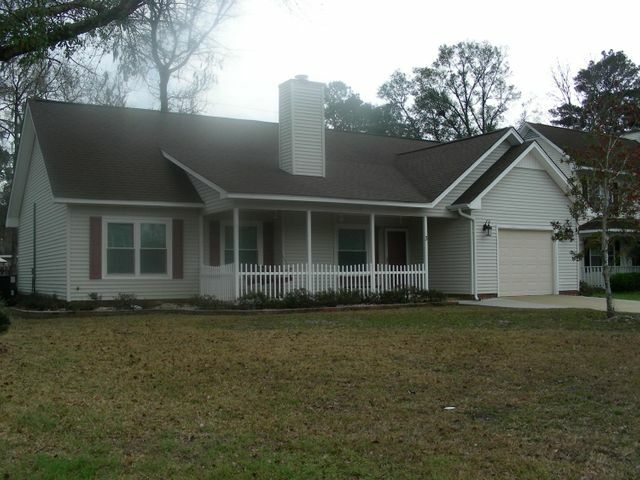 This Traditional 2 story Vinyl Siding home is for sale in the The Bend at River Road neighborhood in Johns Island. ... Built 1995 in North Charleston on a Residential 0.28 acre Corner, Level lot. 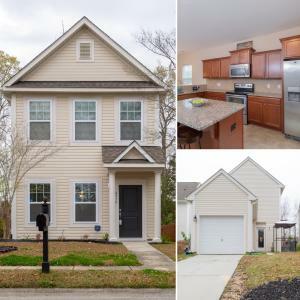 This Traditional 2 story Vinyl Siding home is for sale in the Indigo Fields neighborhood in North Charleston. ... Built 1960 in Charleston on a Residential 0.46 acre lot. This Ranch 1 story Vinyl Siding home is for sale in the Secessionville neighborhood in Charleston. ... 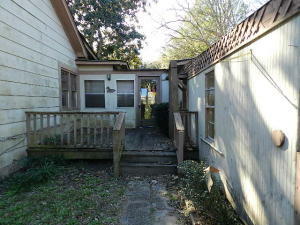 Built 2001 in Charleston on a Residential 0.19 acre 0 - .5 Acre, Inside lot. This Traditional 1 story Vinyl Siding home is for sale in the Grand Oaks Plantation neighborhood in Charleston. ... Built 1966 in Charleston on a Residential 0.25 acre 0 - .5 Acre, Inside lot. 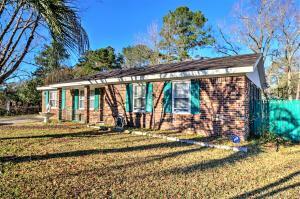 This Ranch 1 story Brick - Solid home is for sale in the Air Harbor neighborhood in Charleston. ... Built 1952 in Charleston on a Residential 0.32 acre 0 - .5 Acre lot. This Ranch 1 story Block/Masonry home is for sale in the Riverland Terrace neighborhood in Charleston. ... Built 2018 in Johns Island on a Residential 0.27 acre Level, Wooded lot. 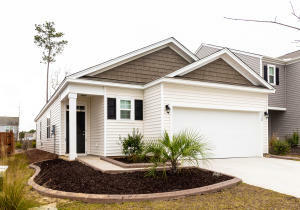 This Charleston Single 2 story Vinyl Siding home is for sale in the Enclave Park neighborhood in Johns Island. ... 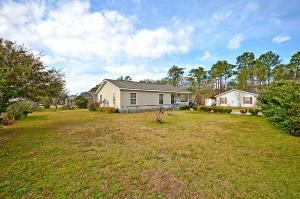 Built 2011 in Johns Island on a Residential 0.12 acre 0 - .5 Acre lot. 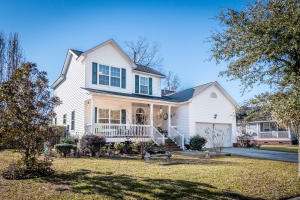 This Traditional 2 story Aluminum Siding home is for sale in the St Johns Crossing neighborhood in Johns Island. ... Built 2018 in Charleston on a Residential 0.23 acre 0 - .5 Acre, Corner lot. This Ranch 1 story Vinyl Siding home is for sale in the St Andrews neighborhood in Charleston. ... 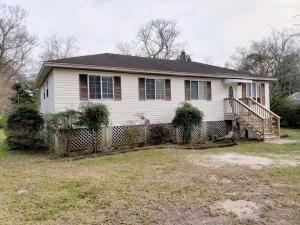 Built 2003 in Summerville on a Residential 0.3 acre 0 - .5 Acre, Inside lot. 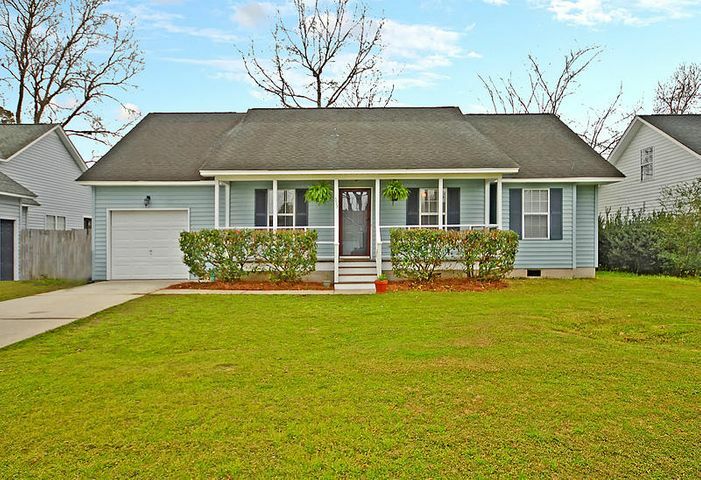 This Traditional 1 story Vinyl Siding home is for sale in the Wescott Plantation neighborhood in Summerville. ... Built 1962 in Charleston on a Residential 0.32 acre 0 - .5 Acre, Corner lot. 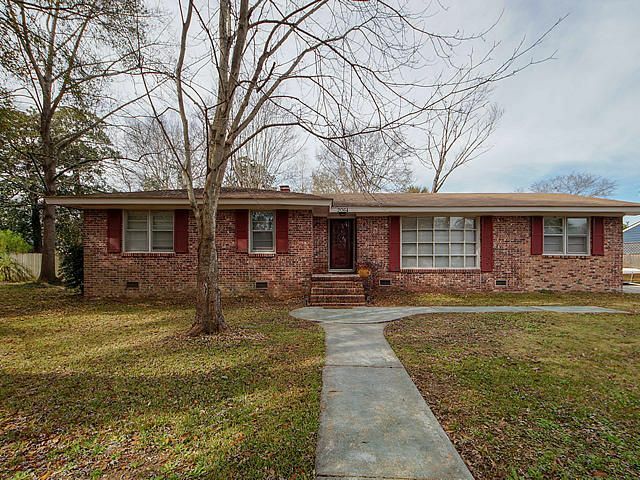 This Ranch 1 story Brick - Veneer home is for sale in the Gadsden Village neighborhood in Charleston. ... 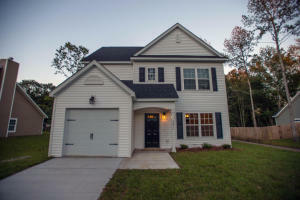 Built 2019 in Ladson on a Residential 0.12 acre Pond lot. 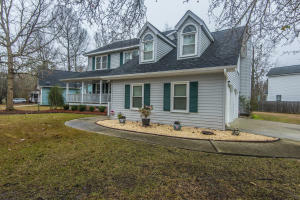 This Traditional 2 story Vinyl Siding home is for sale in the Mckewn neighborhood in Ladson. ... 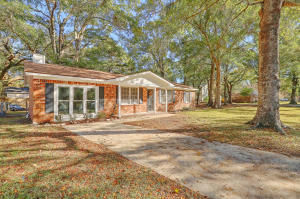 Built 1972 in Summerville on a Residential 0.35 acre lot. This Traditional 2 story Cement Plank home is for sale in the Kings Grant neighborhood in Summerville. ... 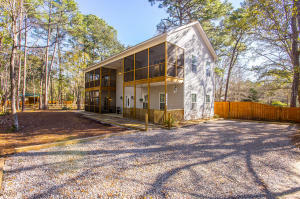 Built 2019 in Johns Island on a Residential 0.08 acre Wooded lot. 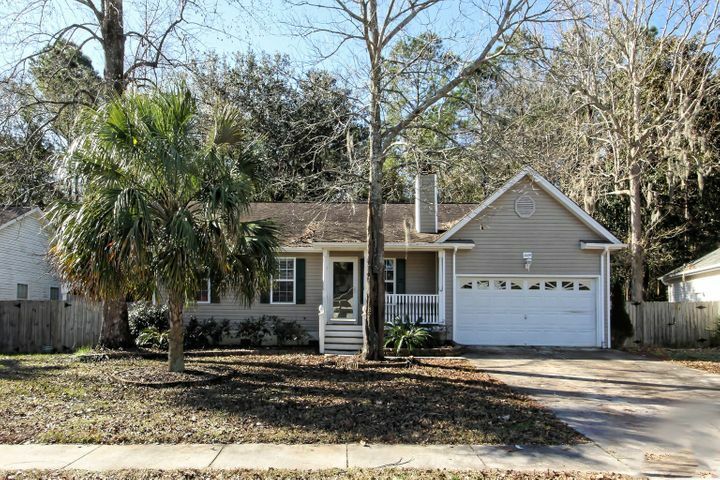 This Charleston Single 2 story Cement Plank home is for sale in the The Oaks at St Johns Crossing neighborhood in Johns Island. ... Built 2010 in Charleston on a Residential 0.18 acre 0 - .5 Acre, High lot. This Ranch 1 story Stone Veneer home is for sale in the Carolina Bay neighborhood in Charleston. ... Built 2006 in Summerville on a Residential 0.18 acre 0 - .5 Acre lot. This Traditional 2 story Vinyl Siding home is for sale in the Wescott Plantation neighborhood in Summerville. Home for sale on 0 - .5 Acre High Wooded lot in area 61 - N. Chas/Summerville/Ladson-Dor. Home for sale on a 0.28 acre 0 - .5 Acre, High, Wooded lot in Plantation Ridge neighborhood Ladson SC, Zip 29456. Floors are Ceramic Tile, Laminate, Vinyl - Roof is Asphalt Shingle... 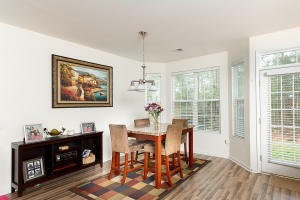 Interior rooms feature Eat-In-Kitchen, Family. Exterior items feature Patio. Amenities include Cable TV Available, Trash Pickup fireplace: One. Parking is described as 1 Car Garage Attached and Equipment and appliances include Ceiling Fan, Dishwasher, Dryer Connection, Electric - Range, Garbage Disposal, Washer Connection features and more. Interior amenities include Ceiling - Beamed, Ceiling - Cathedral/Vaulted, Walk-In Closets. 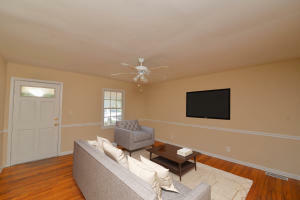 Master bedroom features described as Ceiling Fan, Downstairs, Walk-In Closets ... . . * Elementary school is Oakbrook, Middle School Oakbrook and High School is Ft. Dorchester. This Ladson area home is listed at $135,000.00 in the Plantation Ridge named community inside None named section zip 29456. 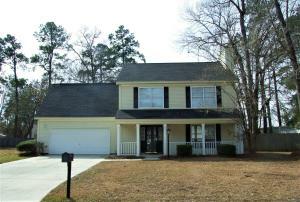 ** This MLS Real Estate Listing 18027337 is in area 61 - N. Chas/Summerville/Ladson-Dor. 154 Hummingbird Avenue is for sale at $135,000 in the Plantation Ridge named neighborhood in Ladson SC. 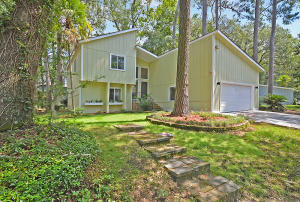 Home for sale on Corner High Wooded lot in area 61 - N. Chas/Summerville/Ladson-Dor. Home for sale on a 0.27 acre Corner, High, Wooded lot in Dorchester Manor neighborhood North Charleston SC, Zip 29420. Floors are Ceramic Tile, Vinyl, Wall to Wall Carpet - Roof is Asphalt Shingle... Interior rooms feature Eat-In-Kitchen, Family, Formal Living, Laundry, Separate Dining. Exterior items feature Fence - Partial, Gazebo, Patio, Storage/Outbuilding, Workshop. Amenities include Bus Line, Cable TV Available . Parking is described as Off-Street Parking and Equipment and appliances include Ceiling Fan, Dishwasher, Dryer Connection, Electric - Range, Garbage Disposal, Washer Connection features and more. Interior amenities include Ceiling - Smooth. Master bedroom features described as Ceiling Fan, Downstairs ... Annual property taxes are $728.76. . * Elementary school is Windsor Hill, Middle School Oakbrook and High School is Ft. Dorchester. This North Charleston area home is listed at $150,000.00 in the Dorchester Manor named community inside zip 29420. 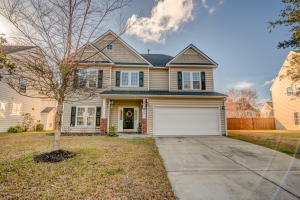 ** This MLS Real Estate Listing 19004906 is in area 61 - N. Chas/Summerville/Ladson-Dor. 145 Dorchester Manor Boulevard is for sale at $150,000 in the Dorchester Manor named neighborhood in North Charleston SC. 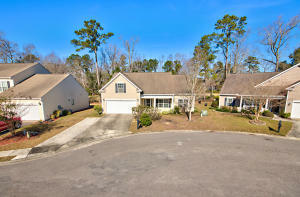 Home for sale on 0 - .5 Acre Level lot in area 61 - N. Chas/Summerville/Ladson-Dor. Home for sale on a 0.11 acre 0 - .5 Acre, Level lot in Wescott Plantation neighborhood Summerville SC, Zip 29485. Floors are Vinyl, Wall to Wall Carpet, Wood - Roof is Architectural... Interior rooms feature Foyer, Living/Dining Combo. Exterior items feature Fence - Private, Fence - Wooden Enclosed, Gutters, Patio, Thermal Windows/Doors. Amenities include Cable TV Available, Club House, Club Membership Available, Golf, Golf Membership Available, Lawn Maint Incl . Parking is described as 1 Car Garage Attached and Equipment and appliances include Ceiling Fan, Dishwasher, Dryer Connection, Electric - Range, Garage Door Opener, Garbage Disposal, Microwave Built-In features and more. Interior amenities include Ceiling - Cathedral/Vaulted, Ceiling - Smooth, Garden Tub/Shower, Walk-In Closets, Window Treatments - Some. 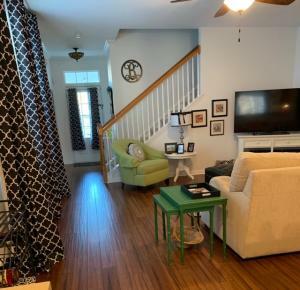 Master bedroom features described as Downstairs, Garden Tub/Shower, Walk-In Closets ... . HOA fees are $375 and paid Annually. Regime fee is paid Quarterly $245 * Elementary school is Fort Dorchester, Middle School Oakbrook and High School is Ft. Dorchester. This Summerville area home is listed at $159,900.00 in the Wescott Plantation named community inside The Courtyards named section zip 29485. 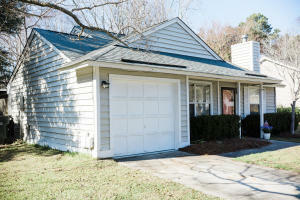 ** This MLS Real Estate Listing 18025222 is in area 61 - N. Chas/Summerville/Ladson-Dor. 4823 Carnoustie Court is for sale at $159,900 in the Wescott Plantation named neighborhood in Summerville SC. Home for sale on 0 - .5 Acre lot in area 11 - West of the Ashley Inside I-526. Home for sale on a 0.13 acre 0 - .5 Acre lot in Savage neighborhood Charleston SC, Zip 29407. Floors are Ceramic Tile, Wood - Roof is Architectural... Interior rooms feature Separate Dining. Exterior items feature Fence - Metal Enclosed, Porch - Full Front. 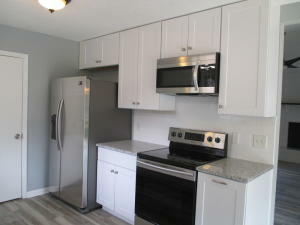 Energy Star Appliance, Energy Star Central Heat/Air, Energy Star Windows, Tankless Water Heater . and features and more. Interior amenities include Ceiling - Smooth. Master bedroom features described as Ceiling Fan, Downstairs ... Annual property taxes are $863.98. . * Elementary school is Oakland, Middle School St. Andrews and High School is West Ashley. This Charleston area home is listed at $179,900.00 in the Savage named community inside zip 29407. ** This MLS Real Estate Listing 19001578 is in area 11 - West of the Ashley Inside I-526. 1790 Brockington Avenue is for sale at $179,900 in the Savage named neighborhood in Charleston SC. 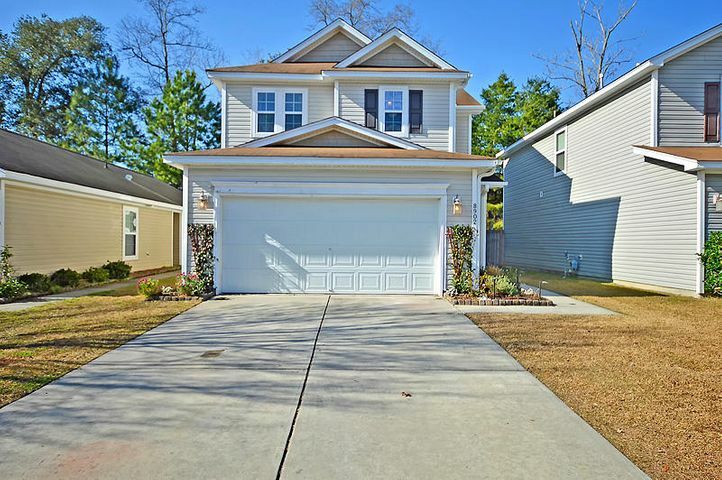 Home for sale on Cul-De-Sac Inside Level lot in area 61 - N. Chas/Summerville/Ladson-Dor. Home for sale on a 0 acre Cul-De-Sac, Inside, Level lot in Archdale neighborhood North Charleston SC, Zip 29418. Floors are Ceramic Tile, Wall to Wall Carpet, Wood - Roof is Architectural... 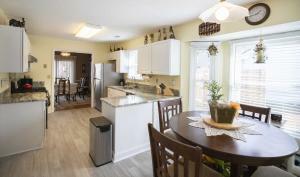 Interior rooms feature Eat-In-Kitchen, Family. Exterior items feature Deck, Fence - Private. Amenities include Cable TV Available, Trash Pickup . Parking is described as 2 Car Garage and Equipment and appliances include Dishwasher, Dryer Connection, Electric - Range, Garbage Disposal, Washer Connection features and more. Interior amenities include Ceiling - Smooth, Ceilings - 9'+, Walk-In Closets. 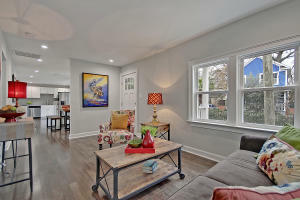 Master bedroom features described as Upstairs, Walk-In Closets ... . . * Elementary school is Windsor Hill, Middle School River Oaks and High School is Ft. Dorchester. This North Charleston area home is listed at $180,000.00 in the Archdale named community inside zip 29418. 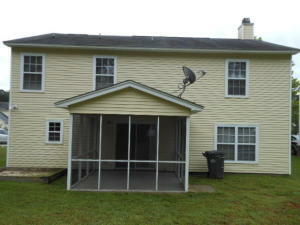 ** This MLS Real Estate Listing 19000863 is in area 61 - N. Chas/Summerville/Ladson-Dor. 102 Wicker Court is for sale at $180,000 in the Archdale named neighborhood in North Charleston SC. Home for sale on 0 - .5 Acre Level lot in area 12 - West of the Ashley Outside I-526. Home for sale on a 0.36 acre 0 - .5 Acre, Level lot in Shady Acres neighborhood Johns Island SC, Zip 29455. Floors are Other - Roof is Fiberglass Shingles... Interior rooms feature Bonus. Exterior items feature Fence - Metal Enclosed, Storage/Outbuilding. Amenities include Cable TV Available, Trash Pickup . Parking is described as Other (Use Remarks) and Equipment and appliances include Ceiling Fan, Dishwasher, Dryer Connection, Electric - Range, Microwave Built-In, Refrigerator, Washer Connection features and more. Interior amenities include Other (Use Remarks). Master bedroom features described as Ceiling Fan ... Annual property taxes are $842.52. . * Elementary school is Oakland, Middle School West Ashley and High School is West Ashley. This Johns Island area home is listed at $185,900.00 in the Shady Acres named community inside zip 29455. Disclosures mention Flood Insurance ** This MLS Real Estate Listing 18033356 is in area 12 - West of the Ashley Outside I-526. 3655 Morse Avenue is for sale at $185,900 in the Shady Acres named neighborhood in Johns Island SC. Home for sale on lot in area 12 - West of the Ashley Outside I-526. Home for sale on a 0.29 acre lot in Springfield neighborhood Charleston SC, Zip 29414. 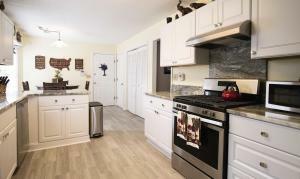 Floors are Ceramic Tile, Wood - ... . . Tankless Water Heater . Parking is described as 1 Car Garage and Equipment and appliances include Ceiling Fan, Dishwasher, Dryer Connection, Electric - Range, Garbage Disposal, Security System, Washer Connection features and more. . Master bedroom features described as Ceiling Fan ... . . * Elementary school is Springfield, Middle School West Ashley and High School is West Ashley. This Charleston area home is listed at $189,900.00 in the Springfield named community inside zip 29414. ** This MLS Real Estate Listing 18029442 is in area 12 - West of the Ashley Outside I-526. 2552 Mona Avenue is for sale at $189,900 in the Springfield named neighborhood in Charleston SC. 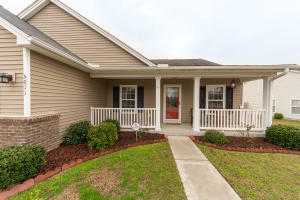 Home for sale on Inside lot in area 61 - N. Chas/Summerville/Ladson-Dor. Home for sale on a 0.22 acre Inside lot in Wescott Plantation neighborhood Summerville SC, Zip 29485. 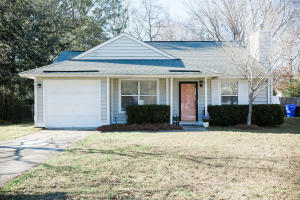 Floors are Ceramic Tile, Wall to Wall Carpet, Wood - Roof is Asphalt Shingle... Interior rooms feature Eat-In-Kitchen, Family, Laundry, Living/Dining Combo, Utility. Exterior items feature Fence - Wooden Enclosed, Porch - Screened. Amenities include Cable TV Available, Neighborhood Pool, Trash Pickup . Parking is described as 2 Car Garage Attached and Equipment and appliances include Ceiling Fan, Dishwasher, Dryer Connection, Electric - Range, Garage Door Opener, Garbage Disposal, Microwave Built-In features and more. Interior amenities include Ceiling - Cathedral/Vaulted, Walk-In Closets. Master bedroom features described as Walk-In Closets ... Annual property taxes are $1,613.87. HOA fees are $100 and paid Quarterly. * Elementary school is Joseph Pye, Middle School Oakbrook and High School is Ft. Dorchester. This Summerville area home is listed at $199,500.00 in the Wescott Plantation named community inside The Farm named section zip 29485. 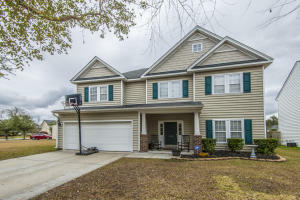 ** This MLS Real Estate Listing 19003993 is in area 61 - N. Chas/Summerville/Ladson-Dor. 9104 Wildflower Way is for sale at $199,500 in the Wescott Plantation named neighborhood in Summerville SC. 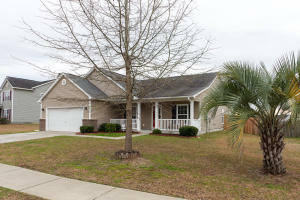 Home for sale on Inside Level lot in area 21 - James Island. Home for sale on a 0.24 acre Inside, Level lot in None neighborhood Charleston SC, Zip 29412. 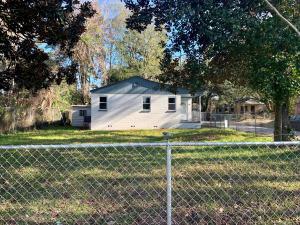 Floors are Ceramic Tile, Wall to Wall Carpet - Roof is Asphalt Shingle... Interior rooms feature Eat-In-Kitchen, Family, Foyer, Living/Dining Combo. Exterior items feature Fence - Wooden Enclosed, Porch - Front Porch, Storage/Outbuilding. Amenities include Cable TV Available, Trash Pickup fireplace: One. Parking is described as Off-Street Parking and Equipment and appliances include Ceiling Fan, Dryer Connection, Washer Connection features and more. Interior amenities include Ceilings - 9'+, Garden Tub/Shower. Master bedroom features described as Ceiling Fan, Garden Tub/Shower, Walk-In Closets ... Annual property taxes are $919.48. . * Elementary school is James Island, Middle School Camp Road and High School is James Island Charter. This Charleston area home is listed at $199,900.00 in the None named community inside zip 29412. 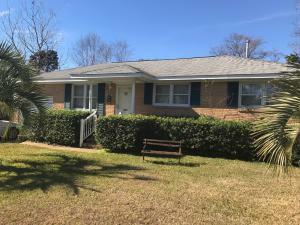 Disclosures mention Corporate Owned ** This MLS Real Estate Listing 19001825 is in area 21 - James Island. 1824 N Grimball Road is for sale at $199,900 in the None named neighborhood in Charleston SC. Home for sale on 0 - .5 Acre Inside lot in area 11 - West of the Ashley Inside I-526. Home for sale on a 0.2 acre 0 - .5 Acre, Inside lot in Ardmore neighborhood Charleston SC, Zip 29407. Floors are Wood, Other - Roof is Asphalt Shingle... Interior rooms feature Family, Living/Dining Combo. Exterior items feature Fence - Partial, Fence - Private, Fence - Wooden Enclosed, Handicapped Equipped. Amenities include Cable TV Available . Parking is described as Off-Street Parking and Equipment and appliances include Ceiling Fan, Dryer Connection, Washer Connection features and more. Interior amenities include Ceiling - Blown. Master bedroom features described as Ceiling Fan, Downstairs ... Annual property taxes are $2,048.59. . * Elementary school is Stono Park, Middle School West Ashley and High School is West Ashley. This Charleston area home is listed at $199,900.00 in the Ardmore named community inside zip 29407. ** This MLS Real Estate Listing 19003089 is in area 11 - West of the Ashley Inside I-526. 1612 Evergreen Street is for sale at $199,900 in the Ardmore named neighborhood in Charleston SC. 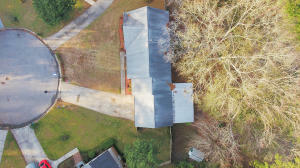 Home for sale on 0 - .5 Acre lot in area 61 - N. Chas/Summerville/Ladson-Dor. Home for sale on a 0.1 acre 0 - .5 Acre lot in Wescott Plantation neighborhood Summerville SC, Zip 29485. 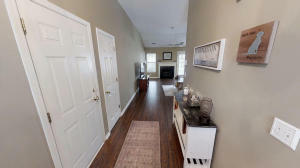 Floors are Vinyl, Wall to Wall Carpet - Roof is Asphalt Shingle... Interior rooms feature Eat-In-Kitchen, Great, Laundry, Separate Dining. Exterior items feature Patio. Amenities include Golf Membership Available, Neighborhood Pool HERS Rated . Parking is described as 1 Car Garage and Equipment and appliances include Dryer Connection, Electric - Range, Washer Connection features and more. Interior amenities include Ceiling - Smooth, Ceilings - 9'+, Kitchen Island, Walk-In Closets. Master bedroom features described as Upstairs, Walk-In Closets ...There aren't too many options like this with the benefit of an attached garage for parking or simply storage. Come see this wonderful home today! Annual property taxes are $1,709.8. HOA fees are $325 and paid Annually. * Elementary school is Fort Dorchester, Middle School Oakbrook and High School is Ft. Dorchester. This Summerville area home is listed at $205,000.00 in the Wescott Plantation named community inside Wescott Commons named section zip 29485. 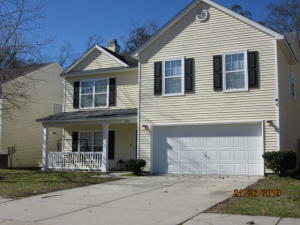 Disclosures mention 10 Yr Warranty ** This MLS Real Estate Listing 19001143 is in area 61 - N. Chas/Summerville/Ladson-Dor. 4938 Ballantine Drive is for sale at $205,000 in the Wescott Plantation named neighborhood in Summerville SC. Home for sale on Pond Site lot in area 61 - N. Chas/Summerville/Ladson-Dor. Home for sale on a 0.18 acre Pond Site lot in Wescott Plantation neighborhood Summerville SC, Zip 29485. Floors are Wall to Wall Carpet - Roof is Asphalt Shingle... Interior rooms feature Eat-In-Kitchen, Family, Foyer, Pantry, Study. Exterior items feature Fence - Wooden Enclosed, Patio. Amenities include Cable TV Available . Parking is described as 1 Car Garage and Equipment and appliances include Ceiling Fan, Dishwasher, Dryer Connection, Electric - Cooktop, Garbage Disposal, Microwave Built-In, Washer Connection features and more. Interior amenities include Ceiling - Cathedral/Vaulted, Ceiling - Smooth, Garden Tub/Shower, Walk-In Closets. Master bedroom features described as Ceiling Fan, Downstairs, Garden Tub/Shower ... Annual property taxes are $1,591.03. HOA fees are $195 and paid Annually. * Elementary school is Fort Dorchester, Middle School Oakbrook and High School is Ft. Dorchester. This Summerville area home is listed at $205,000.00 in the Wescott Plantation named community inside Woodlands at Wescott named section zip 29485. ** This MLS Real Estate Listing 19005236 is in area 61 - N. Chas/Summerville/Ladson-Dor. 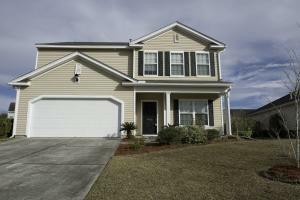 5043 Carrington Court is for sale at $205,000 in the Wescott Plantation named neighborhood in Summerville SC. 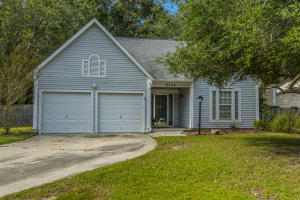 Home for sale on Cul-De-Sac Inside Level lot in area 23 - Johns Island. 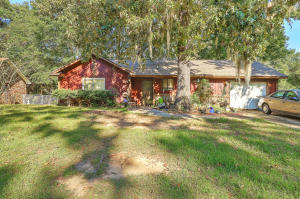 Home for sale on a 0.21 acre Cul-De-Sac, Inside, Level lot in Brownswood Place neighborhood Johns Island SC, Zip 29455. Floors are Laminate, Wall to Wall Carpet - Roof is Architectural... Interior rooms feature Family, Separate Dining. Exterior items feature Patio, Porch - Front Porch, Storm Doors. Amenities include Trash Pickup . and Equipment and appliances include Ceiling Fan, Dryer Connection, Washer Connection features and more. Interior amenities include Ceiling - Smooth. Master bedroom features described as Downstairs ... . . * Elementary school is Angel Oak, Middle School Haut Gap and High School is St. Johns. 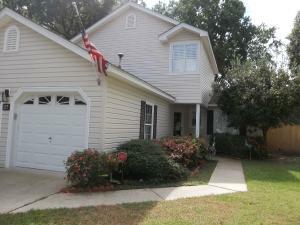 This Johns Island area home is listed at $207,500.00 in the Brownswood Place named community inside zip 29455. 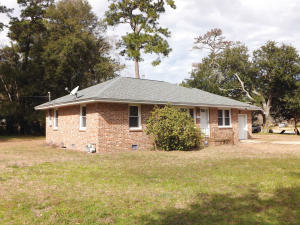 ** This MLS Real Estate Listing 19003168 is in area 23 - Johns Island. 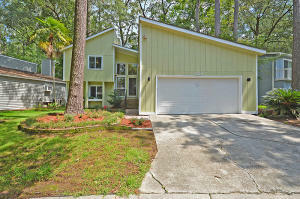 1107 Ezra Ct is for sale at $207,500 in the Brownswood Place named neighborhood in Johns Island SC. 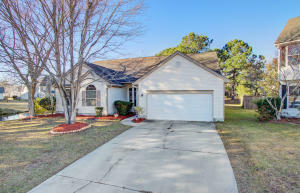 Home for sale on 0 - .5 Acre Cul-De-Sac High lot in area 61 - N. Chas/Summerville/Ladson-Dor. Home for sale on a 0.36 acre 0 - .5 Acre, Cul-De-Sac, High, Level lot in Kings Grant neighborhood Summerville SC, Zip 29485. 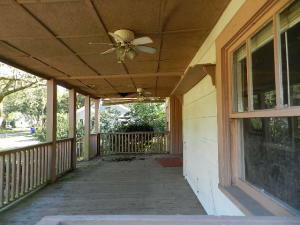 Floors are Wall to Wall Carpet, Wood - Roof is Asphalt Shingle... Interior rooms feature Bonus, Eat-In-Kitchen, Family, Formal Living, Foyer, Laundry. Exterior items feature Fence - Private, Fence - Wooden Enclosed, Gutters, Patio, Patio - Covered, Porch - Front Porch, Some Thermal Wnd/Doors, Storage/Outbuilding, Thermal Windows/Doors. Amenities include Bus Line, Cable TV Available, Central TV Antenna, Trash Pickup fireplace: One. Parking is described as 2 Car Garage Attached Off-Street Parking and Equipment and appliances include Ceiling Fan, Dishwasher, Dryer Connection, Electric - Range, Garage Door Opener, Garbage Disposal, Microwave Built-In features and more. Interior amenities include Ceilings - 9'+, Walk-In Closets, Window Treatments - All, Window Treatments - Some. Master bedroom features described as Ceiling Fan, Downstairs, Walk-In Closets ...downtown Summerville, historic Charleston and beaches. Do not miss the opportunity to see this property in person today!!! Annual property taxes are $980.22. HOA fees are $205 and paid Annually. * Elementary school is Oakbrook, Middle School River Oaks and High School is Ft. Dorchester. This Summerville area home is listed at $214,900.00 in the Kings Grant named community inside zip 29485. 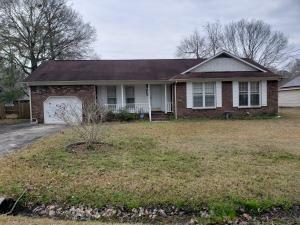 ** This MLS Real Estate Listing 19001952 is in area 61 - N. Chas/Summerville/Ladson-Dor. 107 Millbrook Circle is for sale at $214,900 in the Kings Grant named neighborhood in Summerville SC. 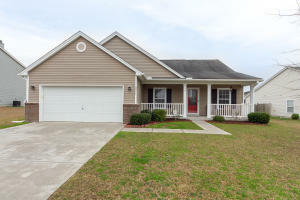 Home for sale on High Inside lot in area 61 - N. Chas/Summerville/Ladson-Dor. Home for sale on a 0.12 acre High, Inside lot in Kings Grant neighborhood Summerville SC, Zip 29485. 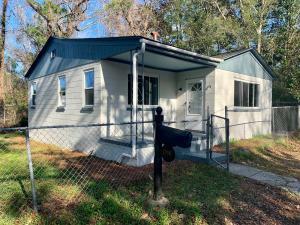 Floors are Ceramic Tile, Laminate, Wood - Roof is Asphalt Shingle... Interior rooms feature Eat-In-Kitchen, Family, Separate Dining. Exterior items feature Deck, Fence - Metal Enclosed, Fence - Wooden Enclosed, Porch - Front Porch, Stoop. Amenities include Boat Ramp, Cable TV Available, Club House, Club Membership Available, Dock Facilities, Marina fireplace: One. Parking is described as 2 Car Garage Attached and Equipment and appliances include Ceiling Fan, Dishwasher, Dryer Connection, Electric - Range, Washer Connection features and more. Interior amenities include Ceiling - Cathedral/Vaulted, Ceiling - Smooth, Walk-In Closets. Master bedroom features described as Ceiling Fan, Upstairs, Walk-In Closets ...The secondary bedrooms are also spacious in size. The back deck and large privacy-fenced backyard will be perfect for grilling out, entertaining, or watching the kids play. The front and back yards offer plenty of shade and greenery, with mature landscaping. 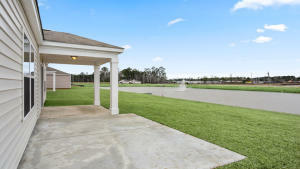 Kings Grant offers many amenities, including: a community pool and cabana, tennis courts, a clubhouse, a play park, a marina, with access to the Ashley River, and over 72-acres of green space, which includes walking trails and multi-purpose fields. 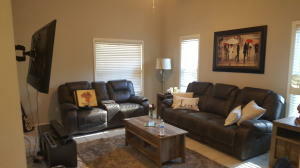 This home is within walking distance to the community pool; a perfect place to relax on those hot, summer days. Conveniently located near shopping, dining, and attractions. Also, located in the desirable Dorchester II School District. Come see your new home, today! . HOA fees are $225 and paid Annually. * Elementary school is Oakbrook, Middle School River Oaks and High School is Ft. Dorchester. 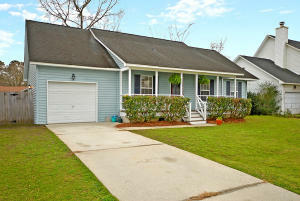 This Summerville area home is listed at $218,000.00 in the Kings Grant named community inside zip 29485. 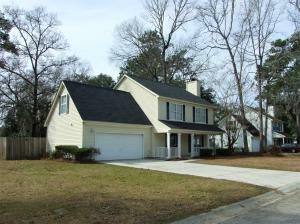 ** This MLS Real Estate Listing 19005868 is in area 61 - N. Chas/Summerville/Ladson-Dor. 123 Lancer Drive is for sale at $218,000 in the Kings Grant named neighborhood in Summerville SC. Home for sale on 0 - .5 Acre Inside lot in area 12 - West of the Ashley Outside I-526. Home for sale on a 0.19 acre 0 - .5 Acre, Inside lot in Ponderosa neighborhood Charleston SC, Zip 29414. Floors are Vinyl, Wood - Roof is Asphalt Shingle... Interior rooms feature Eat-In-Kitchen, Family, Formal Living. Exterior items feature Patio. . Parking is described as Off-Street Parking and Equipment and appliances include Dishwasher, Dryer Connection, Washer Connection features and more. Interior amenities include Ceiling - Blown. Master bedroom features described as Ceiling Fan, Downstairs ... Annual property taxes are $887.53. HOA fees are $0 and paid Annually. Regime fee is paid Annually $0 * Elementary school is Oakland, Middle School St. Andrews and High School is West Ashley. This Charleston area home is listed at $220,000.00 in the Ponderosa named community inside zip 29414. ** This MLS Real Estate Listing 19001559 is in area 12 - West of the Ashley Outside I-526. 759 Cartwright Drive is for sale at $220,000 in the Ponderosa named neighborhood in Charleston SC. 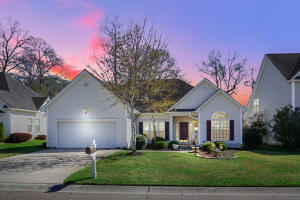 Home for sale on lot in area 61 - N. Chas/Summerville/Ladson-Dor. Home for sale on a 0.09 acre lot in Charleston Park neighborhood North Charleston SC, Zip 29420. Floors are Laminate, Wall to Wall Carpet - Roof is Asphalt Shingle... Interior rooms feature Laundry, Loft, Separate Dining. Exterior items feature Fence - Private, Fence - Wooden Enclosed, Gutters. . Parking is described as 2 Car Garage and Equipment and appliances include Ceiling Fan, Dishwasher, Dryer Connection, Electric - Range, Garbage Disposal, Refrigerator, Washer Connection features and more. Interior amenities include Ceiling - Smooth, Ceilings - 9'+, Kitchen Island, Walk-In Closets, Window Treatments - All. 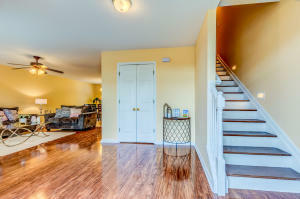 Master bedroom features described as Ceiling Fan, Garden Tub/Shower, Upstairs, Walk-In Closets ... Annual property taxes are $1,746.34. and paid Annually. * Elementary school is Fort Dorchester, Middle School River Oaks and High School is Ft. Dorchester. 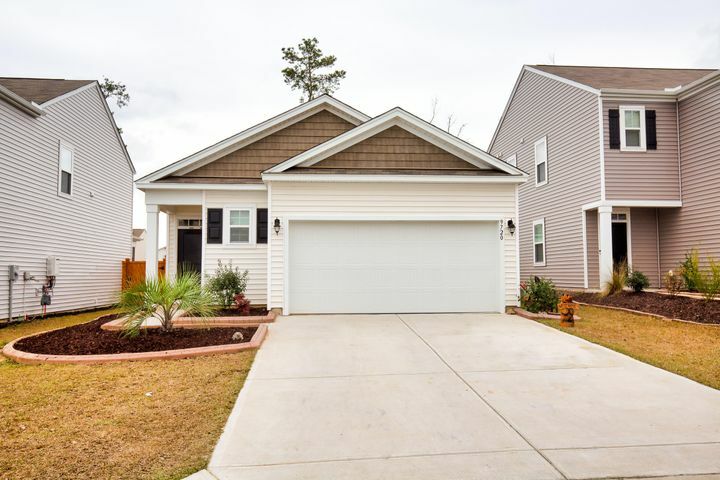 This North Charleston area home is listed at $222,500.00 in the Charleston Park named community inside The Preserve named section zip 29420. 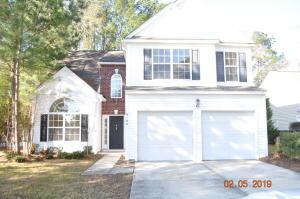 ** This MLS Real Estate Listing 19006085 is in area 61 - N. Chas/Summerville/Ladson-Dor. 8902 Arbor Glen Drive is for sale at $222,500 in the Charleston Park named neighborhood in North Charleston SC. Home for sale on a 0.19 acre 0 - .5 Acre lot in Wescott Plantation neighborhood Summerville SC, Zip 29485. 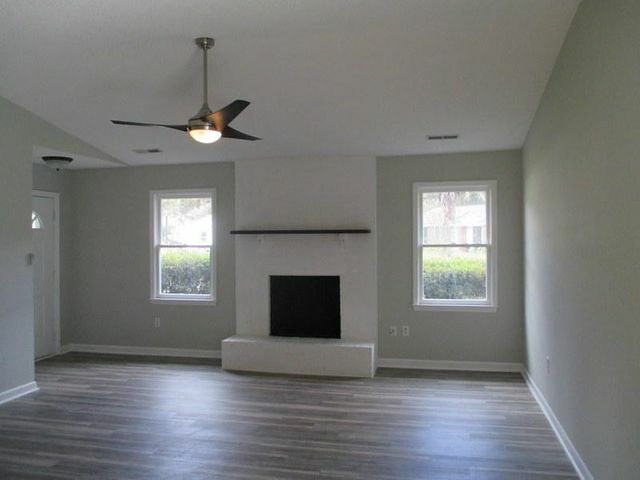 Floors are Laminate, Wall to Wall Carpet - ... Interior rooms feature Great, Separate Dining. Exterior items feature Deck, Fence - Private, Fence - Wooden Enclosed, Patio - Covered, Porch - Front Porch, Storage/Outbuilding. Amenities include Cable TV Available, Club House, Club Membership Available, Exercise Area, Golf, Golf Membership Available . Parking is described as Off-Street Parking and Equipment and appliances include Ceiling Fan, Dishwasher, Dryer Connection, Electric - Range, Garbage Disposal, Microwave Built-In, Washer Connection features and more. Interior amenities include Ceiling - Smooth, Ceiling - Tray, Walk-In Closets, Window Treatments - Some. Master bedroom features described as Ceiling Fan, Upstairs, Walk-In Closets ...but down the hall from the master. Private yet within reach. The privacy fenced backyard has a storage shed and tiered decking and still leaves plenty of yard space for anything you desire...swing set, garden, get togethers etc. Be sure to visit the Amenity Center and the Golf Club during your showing appointment! Boat Storage Available! Annual property taxes are $1,659.55. HOA fees are $400 and paid Annually. * Elementary school is Joseph Pye, Middle School River Oaks and High School is Ft. Dorchester. This Summerville area home is listed at $224,900.00 in the Wescott Plantation named community inside The Farm named section zip 29485. ** This MLS Real Estate Listing 19004826 is in area 61 - N. Chas/Summerville/Ladson-Dor. 8974 N Red Maple Circle is for sale at $224,900 in the Wescott Plantation named neighborhood in Summerville SC. 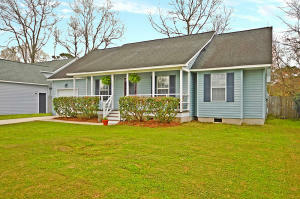 Home for sale on 0 - .5 Acre lot in area 21 - James Island. 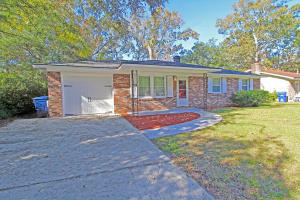 Home for sale on a 0.29 acre 0 - .5 Acre lot in Westchester neighborhood Charleston SC, Zip 29412. - ... . Exterior items feature Fence - Metal Enclosed. . and Equipment and appliances include Dishwasher, Electric - Range features and more. . ... Annual property taxes are $492.74. . * Elementary school is Stiles Point, Middle School James Island and High School is James Island Charter. This Charleston area home is listed at $225,000.00 in the Westchester named community inside zip 29412. 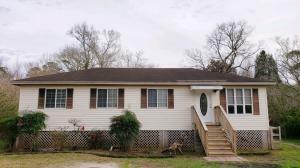 Disclosures mention Estate Sale ** This MLS Real Estate Listing 19003239 is in area 21 - James Island. 1614 Westridge Circle is for sale at $225,000 in the Westchester named neighborhood in Charleston SC. 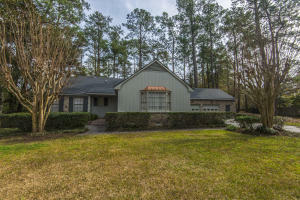 Home for sale on a 0.17 acre 0 - .5 Acre, Inside lot in Eagle Run neighborhood Ladson SC, Zip 29456. Floors are Ceramic Tile, Wall to Wall Carpet, Wood - Roof is Architectural... Interior rooms feature Eat-In-Kitchen, Great, Laundry, Living/Dining Combo, Pantry, Other (Use Remarks). Exterior items feature Deck, Porch - Front Porch, Storm Windows. Amenities include Trash Pickup . Parking is described as 1 Car Garage and Equipment and appliances include Ceiling Fan, Dishwasher, Dryer Connection, Electric - Range, Garage Door Opener, Garbage Disposal, Microwave Built-In features and more. Interior amenities include Ceiling - Smooth, Walk-In Closets. Master bedroom features described as Ceiling Fan, Downstairs, Walk-In Closets ... Annual property taxes are $1,003.08. HOA fees are $220 and paid Annually. * Elementary school is Oakbrook, Middle School Oakbrook and High School is Ft. Dorchester. This Ladson area home is listed at $225,000.00 in the Eagle Run named community inside zip 29456. 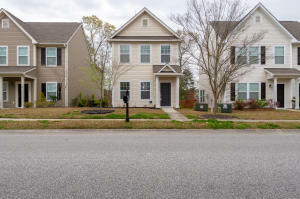 ** This MLS Real Estate Listing 19005110 is in area 61 - N. Chas/Summerville/Ladson-Dor. 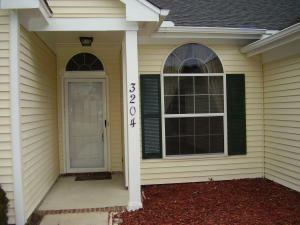 384 Chemistry Circle is for sale at $225,000 in the Eagle Run named neighborhood in Ladson SC. Home for sale on .5 - 1 Acre lot in area 61 - N. Chas/Summerville/Ladson-Dor. Home for sale on a 0.07 acre .5 - 1 Acre lot in None neighborhood Summerville SC, Zip 29485. 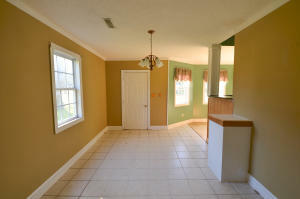 Floors are Ceramic Tile, Wall to Wall Carpet, Wood - Roof is Asphalt Shingle... Interior rooms feature Family, Foyer, Laundry, Living/Dining Combo, Loft, Pantry. Exterior items feature Thermal Windows/Doors. Amenities include Trash Pickup, Walk/Jog Trails HERS Rated . Parking is described as 2 Car Garage Attached and Equipment and appliances include Ceiling Fan, Dishwasher, Electric - Range, Garage Door Opener, Garbage Disposal, Microwave Built-In, Washer Connection features and more. 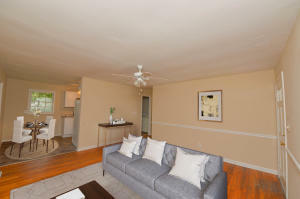 Interior amenities include Ceiling - Smooth, Ceilings - 9'+, Garden Tub/Shower, Walk-In Closets. 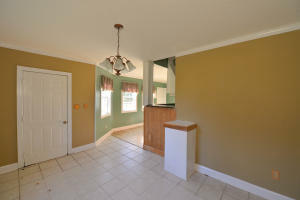 Master bedroom features described as Ceiling Fan, Garden Tub/Shower, Upstairs, Walk-In Closets ... Annual property taxes are $2,011.29. HOA fees are $290 and paid Annually. * Elementary school is Joseph Pye, Middle School River Oaks and High School is Ft. Dorchester. This Summerville area home is listed at $232,000.00 in the None named community inside Wescott Chase named section zip 29485. 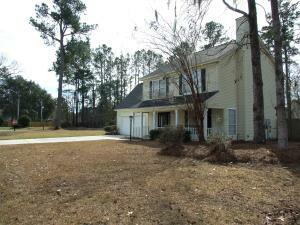 ** This MLS Real Estate Listing 19005480 is in area 61 - N. Chas/Summerville/Ladson-Dor. 8952 Cat Tail Pond Road is for sale at $232,000 in the None named neighborhood in Summerville SC. Home for sale on Level lot in area 12 - West of the Ashley Outside I-526. Home for sale on a 0.19 acre Level lot in Ponderosa neighborhood Charleston SC, Zip 29414. Floors are Ceramic Tile, Wood - Roof is Asphalt Shingle... Interior rooms feature Eat-In-Kitchen, Family, Foyer, Laundry. Exterior items feature Porch - Front Porch. Amenities include Cable TV Available, Trash Pickup fireplace: Family Room. Parking is described as 1 Car Garage Attached Off-Street Parking and Equipment and appliances include Ceiling Fan, Dishwasher, Dryer Connection, Electric - Range, Washer Connection features and more. Interior amenities include Ceiling - Blown. 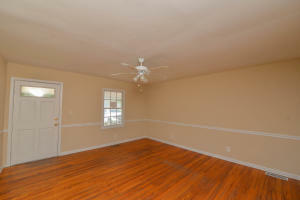 Master bedroom features described as Ceiling Fan, Downstairs ... . HOA fees are $0 . * Elementary school is Oakland, Middle School West Ashley and High School is West Ashley. This Charleston area home is listed at $235,000.00 in the Ponderosa named community inside zip 29414. ** This MLS Real Estate Listing 18032171 is in area 12 - West of the Ashley Outside I-526. 743 Hitching Post Road is for sale at $235,000 in the Ponderosa named neighborhood in Charleston SC. Home for sale on a 0.19 acre Level lot in Asheford Place at Canterbury Woods neighborhood Charleston SC, Zip 29414. Floors are Ceramic Tile, Wood - Roof is Asphalt Shingle... Interior rooms feature Eat-In-Kitchen, Family, Laundry, Pantry, Separate Dining, Utility. Exterior items feature Fence - Private, Fence - Wooden Enclosed, Porch - Front Porch, Porch - Screened, Storage/Outbuilding, Storm Windows, Thermal Windows/Doors. Amenities include Cable TV Available, Trash Pickup fireplace: Family Room. Parking is described as 2 Car Garage Attached Off-Street Parking and Equipment and appliances include Ceiling Fan, Dishwasher, Dryer Connection, Electric - Range, Microwave Built-In, Washer Connection features and more. Interior amenities include Ceiling - Cathedral/Vaulted, Ceilings - 9'+, Walk-In Closets. Master bedroom features described as Ceiling Fan, Downstairs, Walk-In Closets ... . HOA fees are $0 . * Elementary school is Springfield, Middle School West Ashley and High School is West Ashley. 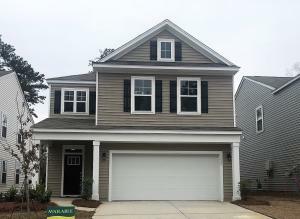 This Charleston area home is listed at $238,000.00 in the Asheford Place at Canterbury Woods named community inside Asheford Place named section zip 29414. Disclosures mention Possible Short Sale ** This MLS Real Estate Listing 19000986 is in area 12 - West of the Ashley Outside I-526. 2229 Asheford Drive is for sale at $238,000 in the Asheford Place at Canterbury Woods named neighborhood in Charleston SC. Home for sale on 0 - .5 Acre Corner Inside lot in area 61 - N. Chas/Summerville/Ladson-Dor. Home for sale on a 0.33 acre 0 - .5 Acre, Corner, Inside, Level lot in Woodington neighborhood North Charleston SC, Zip 29420. Floors are Ceramic Tile, Vinyl, Wall to Wall Carpet - Roof is Architectural Asphalt Shingle... Interior rooms feature Eat-In-Kitchen, Family, Foyer, Frog Attached, Separate Dining, Utility. Exterior items feature Fence - Private, Fence - Wooden Enclosed, Pool - In Ground, Porch - Full Front, Porch - Screened, Thermal Windows/Doors. fireplace: One. Parking is described as 2 Car Garage and Equipment and appliances include Ceiling Fan, Dishwasher, Dryer Connection, Electric - Range, Garage Door Opener, Garbage Disposal, Microwave Built-In features and more. Interior amenities include Ceiling - Blown, Ceiling - Cathedral/Vaulted, Garden Tub/Shower, Walk-In Closets. Master bedroom features described as Ceiling Fan, Garden Tub/Shower, Split, Upstairs, Walk-In Closets ... Annual property taxes are $3,794.04. HOA fees are $175 and paid Annually. * Elementary school is Eagle Nest, Middle School River Oaks and High School is Ft. Dorchester. 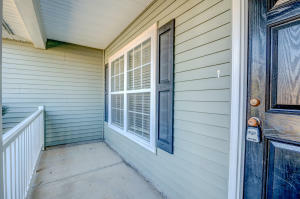 This North Charleston area home is listed at $238,000.00 in the Woodington named community inside None named section zip 29420. ** This MLS Real Estate Listing 19003979 is in area 61 - N. Chas/Summerville/Ladson-Dor. 8611 Aurora Drive is for sale at $238,000 in the Woodington named neighborhood in North Charleston SC. 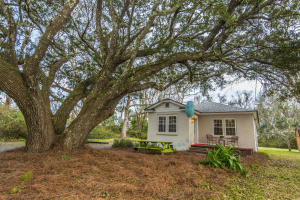 Home for sale on lot in area 23 - Johns Island. Home for sale on a 0.4 acre lot in Fenwick Hills neighborhood Johns Island SC, Zip 29455. - ... . . . and features and more. . ... . . * Elementary school is Angel Oak, Middle School Haut Gap and High School is St. Johns. 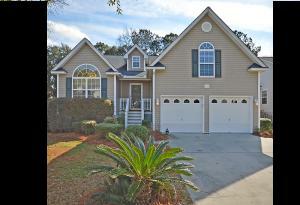 This Johns Island area home is listed at $239,500.00 in the Fenwick Hills named community inside zip 29455. 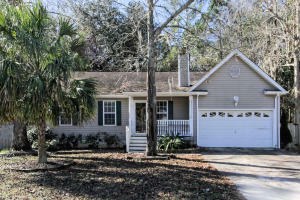 ** This MLS Real Estate Listing 18031616 is in area 23 - Johns Island. 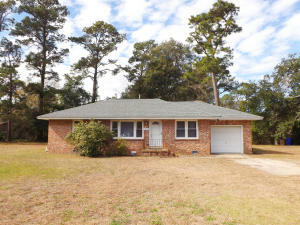 1771 Southwick Drive is for sale at $239,500 in the Fenwick Hills named neighborhood in Johns Island SC. 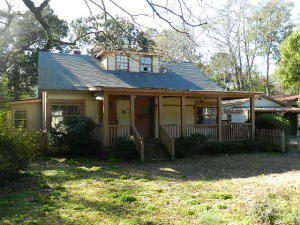 Home for sale on a 0.23 acre 0 - .5 Acre, Level lot in Mckewn neighborhood Ladson SC, Zip 29456. Floors are Laminate, Wall to Wall Carpet - Roof is Fiberglass Shingles... Interior rooms feature Foyer, Great, Laundry, Pantry. Exterior items feature Porch - Screened. Amenities include Cable TV Available, Club House, Neighborhood Pool, Play Park, Trash Pickup HERS Rated, Tankless Water Heater . Parking is described as 2 Car Garage and Equipment and appliances include Dishwasher, Dryer Connection, Garbage Disposal, Gas - Range, Microwave Built-In, Washer Connection features and more. Interior amenities include Ceiling - Smooth, Ceilings - 9'+, Walk-In Closets. Master bedroom features described as Downstairs, Walk-In Closets ... . HOA fees are $600 and paid Annually. * Elementary school is Joseph Pye, Middle School Oakbrook and High School is Ft. Dorchester. This Ladson area home is listed at $240,000.00 in the Mckewn named community inside None named section zip 29456. Disclosures mention 10 Yr Warranty ** This MLS Real Estate Listing 19004726 is in area 61 - N. Chas/Summerville/Ladson-Dor. 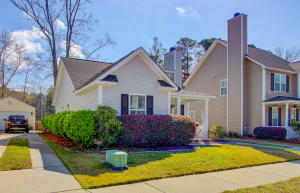 9711 Flooded Field Drive is for sale at $240,000 in the Mckewn named neighborhood in Ladson SC. Home for sale on 0 - .5 Acre Pond lot in area 61 - N. Chas/Summerville/Ladson-Dor. Home for sale on a 0.22 acre 0 - .5 Acre, Pond lot in Wescott Plantation neighborhood Summerville SC, Zip 29485. 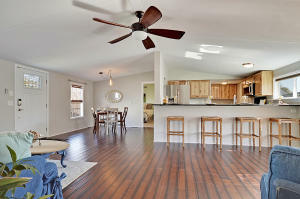 Floors are Vinyl, Wall to Wall Carpet, Wood - Roof is Asphalt Shingle... Interior rooms feature Family, Foyer, Laundry, Office, Pantry, Separate Dining. Exterior items feature Fence - Wooden Enclosed, Patio, Porch - Front Porch, Porch - Screened, Storm Doors, Thermal Windows/Doors. 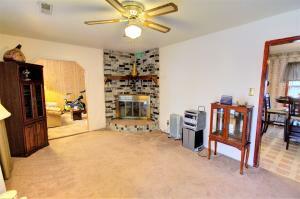 Amenities include Trash Pickup fireplace: Family Room. Parking is described as 2 Car Garage and Equipment and appliances include Ceiling Fan, Dishwasher, Dryer, Electric - Range, Garage Door Opener, Garbage Disposal, Microwave Built-In features and more. Interior amenities include Ceiling - Cathedral/Vaulted, Ceiling - Smooth, Ceilings - 9'+, Garden Tub/Shower, Walk-In Closets. Master bedroom features described as Ceiling Fan, Downstairs, Garden Tub/Shower, Walk-In Closets ... Annual property taxes are $1,698.38. HOA fees are $235 and paid Annually. * Elementary school is Fort Dorchester, Middle School Oakbrook and High School is Ft. Dorchester. This Summerville area home is listed at $242,000.00 in the Wescott Plantation named community inside Woodlands at Wescott named section zip 29485. 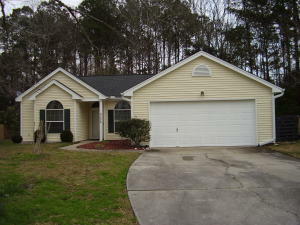 ** This MLS Real Estate Listing 19004985 is in area 61 - N. Chas/Summerville/Ladson-Dor. 5011 Wilverine Drive is for sale at $242,000 in the Wescott Plantation named neighborhood in Summerville SC. 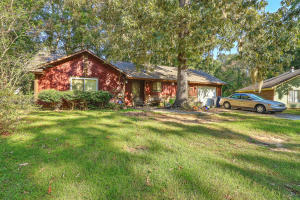 Home for sale on 0 - .5 Acre Cul-De-Sac High lot in area 12 - West of the Ashley Outside I-526. Home for sale on a 0.26 acre 0 - .5 Acre, Cul-De-Sac, High, Inside lot in Village Green neighborhood Charleston SC, Zip 29414. 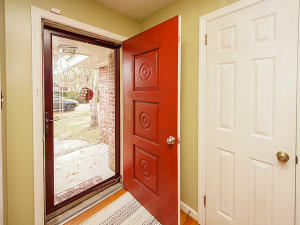 Floors are Ceramic Tile, Wall to Wall Carpet - Roof is Architectural... Interior rooms feature Eat-In-Kitchen, Great, Laundry, Pantry. Exterior items feature Gutters, Patio, Stoop, Storm Doors, Thermal Windows/Doors. Amenities include Cable TV Available, Neighborhood Pool, Trash Pickup fireplace: One. Parking is described as 2 Car Garage Attached Off-Street Parking and Equipment and appliances include Ceiling Fan, Dishwasher, Dryer Connection, Electric - Range, Garage Door Opener, Garbage Disposal, Refrigerator features and more. Interior amenities include Ceiling - Blown, Ceiling - Cathedral/Vaulted, Ceilings - 9'+, Garden Tub/Shower, Walk-In Closets, Window Treatments - All. Master bedroom features described as Ceiling Fan, Downstairs, Garden Tub/Shower, Walk-In Closets ... . HOA fees are $220 and paid Annually. * Elementary school is Drayton Hall, Middle School West Ashley and High School is West Ashley. This Charleston area home is listed at $244,900.00 in the Village Green named community inside River Oaks named section zip 29414. ** This MLS Real Estate Listing 19006137 is in area 12 - West of the Ashley Outside I-526. 3204 Middleburry Lane is for sale at $244,900 in the Village Green named neighborhood in Charleston SC. Home for sale on a 0.17 acre Inside, Level lot in Bayfront neighborhood Charleston SC, Zip 29412. Floors are Ceramic Tile, Vinyl, Wood - Roof is Architectural... Interior rooms feature Eat-In-Kitchen, Formal Living, Mother-In-Law Suite. Exterior items feature Storage/Outbuilding. Amenities include Cable TV Available, Dock Facilities, Play Park, Trash Pickup . Parking is described as Off-Street Parking and Equipment and appliances include Ceiling Fan, Dishwasher, Dryer Connection, Electric - Range, Microwave Built-In, Washer Connection features and more. Interior amenities include Ceiling - Smooth. Master bedroom features described as Ceiling Fan, Downstairs ... Annual property taxes are $2,589.66. . * Elementary school is Harbor View, Middle School James Island and High School is James Island Charter. This Charleston area home is listed at $245,000.00 in the Bayfront named community inside zip 29412. 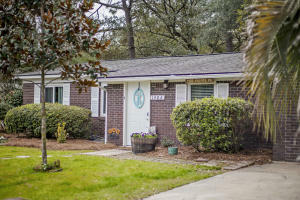 Disclosures mention Corporate Owned ** This MLS Real Estate Listing 18024908 is in area 21 - James Island. 820 Bermuda Street is for sale at $245,000 in the Bayfront named neighborhood in Charleston SC. Home for sale on a 0.45 acre lot in Bruno Acres neighborhood Charleston SC, Zip 29414. 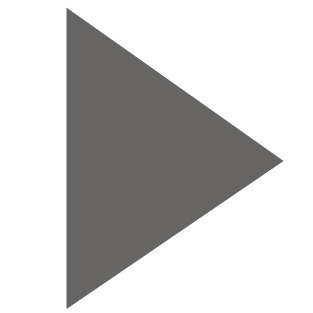 - ... . . . and features and more. . ... Annual property taxes are $2,375.28. . * Elementary school is Drayton Hall, Middle School West Ashley and High School is West Ashley. This Charleston area home is listed at $245,000.00 in the Bruno Acres named community inside zip 29414. ** This MLS Real Estate Listing 18030109 is in area 12 - West of the Ashley Outside I-526. 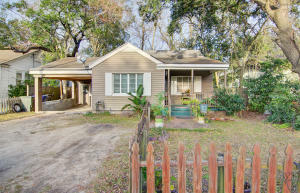 1683 Durkee Street is for sale at $245,000 in the Bruno Acres named neighborhood in Charleston SC. 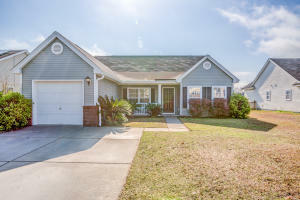 Home for sale on Level lot in area 21 - James Island. 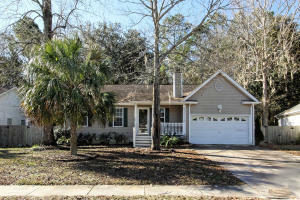 Home for sale on a 0.35 acre Level lot in Old Orchard neighborhood Charleston SC, Zip 29412. 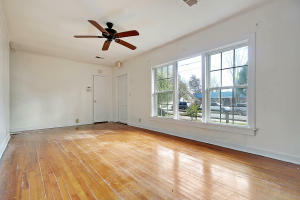 Floors are Vinyl, Wall to Wall Carpet, Wood - Roof is Asphalt Shingle... 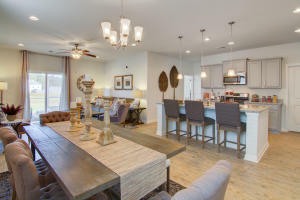 Interior rooms feature Eat-In-Kitchen, Living/Dining Combo. 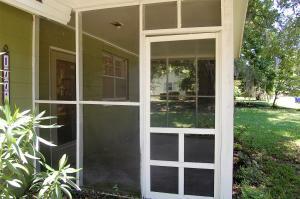 Exterior items feature Fence - Partial, Thermal Windows/Doors. . Parking is described as 1 Car Garage and Equipment and appliances include Dryer Connection, Gas - Range, Refrigerator, Washer Connection features and more. Interior amenities include Ceiling - Smooth. ... Annual property taxes are $707.22. . * Elementary school is Harbor View, Middle School Camp Road and High School is James Island Charter. This Charleston area home is listed at $245,000.00 in the Old Orchard named community inside zip 29412. 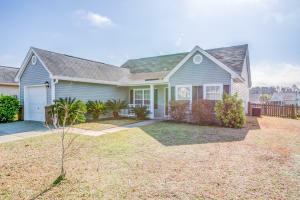 ** This MLS Real Estate Listing 19003338 is in area 21 - James Island. 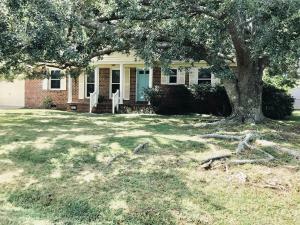 1267 Oxbow Drive is for sale at $245,000 in the Old Orchard named neighborhood in Charleston SC. Home for sale on 0 - .5 Acre Inside Level lot in area 12 - West of the Ashley Outside I-526. Home for sale on a 0.36 acre 0 - .5 Acre, Inside, Level lot in Magnolia Ranch neighborhood Charleston SC, Zip 29414. Floors are Ceramic Tile, Laminate, Vinyl - Roof is Asphalt Shingle... Interior rooms feature Eat-In-Kitchen, Formal Living, Foyer, Laundry, Separate Dining, Sun. Exterior items feature Fence - Partial, Fence - Wooden Enclosed, Patio, Porch - Front Porch, Porch - Screened, Some Storm Wnd/Doors, Storage/Outbuilding, Other (Use Remarks). Amenities include Cable TV Available, Trash Pickup . and Equipment and appliances include Ceiling Fan, Dishwasher, Dryer, Dryer Connection, Electric - Range, Garbage Disposal, Microwave Built-In features and more. Interior amenities include Ceiling - Blown, Ceiling - Smooth, Kitchen Island, Window Treatments - All. Master bedroom features described as Ceiling Fan ...living area. This wonderfully large space is fabulous for entertaining friends and family and overlooks an expansive private backyard, complete with a privacy fence, patio, and storage shed. This home is being sold AS-IS, WHERE IS. All systems and appliances convey in AS-IS condition, to include the LG washer and dryer. Don't miss out on this great brick home in a very convenient location!! Seller will provide a one year home warranty for up to $500.00 with acceptable offer. Most of the furniture is negotiable. Buyer to verify schools and anything deemed important; buyer to verify square footage measure, measure, measure!!! Annual property taxes are $1,321.63. . * Elementary school is Springfield, Middle School West Ashley and High School is West Ashley. This Charleston area home is listed at $245,000.00 in the Magnolia Ranch named community inside zip 29414. ** This MLS Real Estate Listing 19005577 is in area 12 - West of the Ashley Outside I-526. 2064 Idlewood Lane is for sale at $245,000 in the Magnolia Ranch named neighborhood in Charleston SC. Home for sale on a 0.2 acre 0 - .5 Acre, Level lot in Shadowmoss neighborhood Charleston SC, Zip 29414. 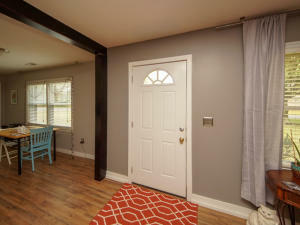 Floors are Ceramic Tile, Wall to Wall Carpet - Roof is Architectural... Interior rooms feature Living/Dining Combo, Sun. Exterior items feature Fence - Wooden Enclosed, Patio. Amenities include Cable TV Available, Club House, Club Membership Available, Golf, Golf Membership Available, Neighborhood Pool fireplace: One. Parking is described as 1 Car Garage Attached and Equipment and appliances include Ceiling Fan, Dishwasher, Dryer Connection, Electric - Range, Garage Door Opener, Refrigerator, Washer Connection features and more. Interior amenities include Ceiling - Blown, Ceiling - Cathedral/Vaulted, Walk-In Closets. Master bedroom features described as Ceiling Fan ... Annual property taxes are $595.24. . * Elementary school is Drayton Hall, Middle School West Ashley and High School is West Ashley. This Charleston area home is listed at $245,000.00 in the Shadowmoss named community inside Heather Glen named section zip 29414. ** This MLS Real Estate Listing 19006260 is in area 12 - West of the Ashley Outside I-526. 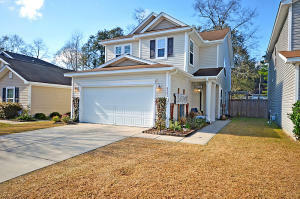 3 Fieldfare Way is for sale at $245,000 in the Shadowmoss named neighborhood in Charleston SC. Home for sale on a 0.2 acre lot in Marsh Hall neighborhood North Charleston SC, Zip 29418. Floors are Laminate, Wood - Roof is Asphalt Shingle... Interior rooms feature Eat-In-Kitchen, Family, Formal Living, Frog Attached, Laundry, Separate Dining. Exterior items feature Fence - Wooden Enclosed, Patio, Porch - Full Front. . Parking is described as 2 Car Garage and Equipment and appliances include Ceiling Fan, Dishwasher, Dryer Connection, Electric - Range, Garbage Disposal, Washer Connection features and more. Interior amenities include Ceiling - Blown, Garden Tub/Shower, Walk-In Closets, Window Treatments - All. Master bedroom features described as Ceiling Fan, Garden Tub/Shower, Upstairs, Walk-In Closets ...The HUGE bonus room is the perfect second living area or gaming/media room! This home is nestled on a large lot, with a completely fenced backyard with patio. Come see all this home has to offer! . HOA fees are $105 and paid Annually. * Elementary school is Eagle Nest, Middle School River Oaks and High School is Ft. Dorchester. 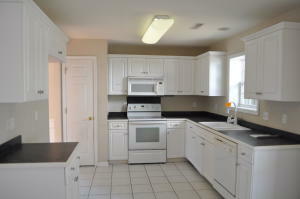 This North Charleston area home is listed at $246,000.00 in the Marsh Hall named community inside zip 29418. 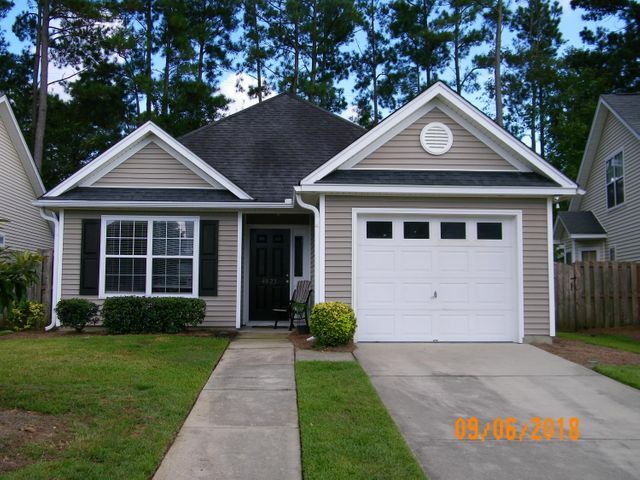 ** This MLS Real Estate Listing 19001521 is in area 61 - N. Chas/Summerville/Ladson-Dor. 105 Britton Lane is for sale at $246,000 in the Marsh Hall named neighborhood in North Charleston SC. Home for sale on a 0.11 acre .5 - 1 Acre lot in Mckewn neighborhood Ladson SC, Zip 29456. 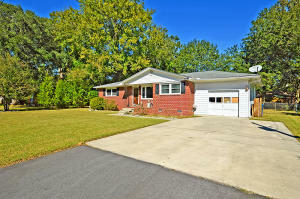 Floors are Laminate, Wall to Wall Carpet - Roof is Asphalt Shingle... Interior rooms feature Laundry. Exterior items feature Patio, Patio - Covered, Porch - Screened, Thermal Windows/Doors. Amenities include Club House, Neighborhood Pool, Play Park, Trash Pickup, Walk/Jog Trails HERS Rated, Tankless Water Heater . Parking is described as 2 Car Garage Attached and Equipment and appliances include Dishwasher, Dryer, Dryer Connection, Garage Door Opener, Garbage Disposal, Gas - Range, Microwave Built-In features and more. Interior amenities include Ceiling - Smooth, Ceilings - 9'+, Walk-In Closets, Window Treatments - Some. Master bedroom features described as Downstairs, Walk-In Closets ... . HOA fees are $600 and paid Annually. * Elementary school is Joseph Pye, Middle School Oakbrook and High School is Ft. Dorchester. This Ladson area home is listed at $246,900.00 in the Mckewn named community inside None named section zip 29456. 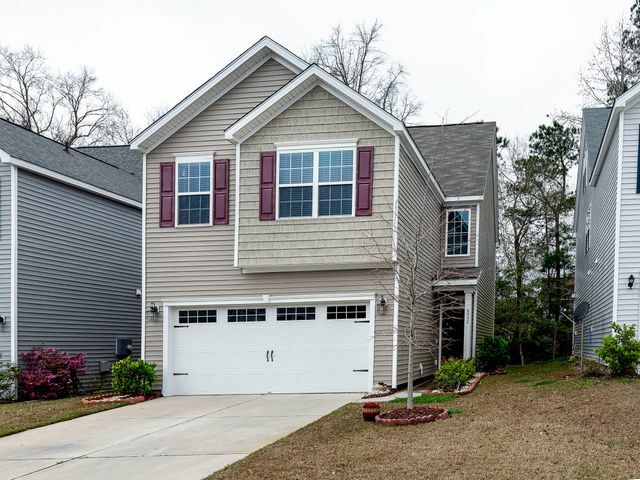 ** This MLS Real Estate Listing 19006001 is in area 61 - N. Chas/Summerville/Ladson-Dor. 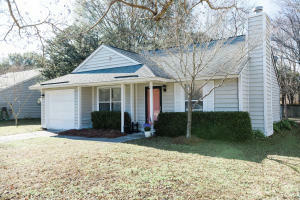 9720 Brandishing Road is for sale at $246,900 in the Mckewn named neighborhood in Ladson SC. Home for sale on a 0.28 acre Level lot in Stono Terrace neighborhood Charleston SC, Zip 29412. 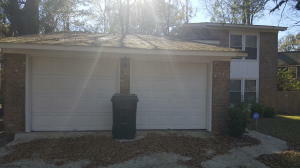 - Roof is Asphalt Shingle... Interior rooms feature Formal Living. Exterior items feature Fence - Wooden Enclosed, Porch - Front Porch, Storage/Outbuilding. fireplace: Two. Parking is described as 2 Car Carport Off-Street Parking and features and more. . Master bedroom features described as Downstairs ... Annual property taxes are $992.82. . * Elementary school is Murray Lasaine, Middle School James Island and High School is James Island Charter. This Charleston area home is listed at $248,000.00 in the Stono Terrace named community inside zip 29412. 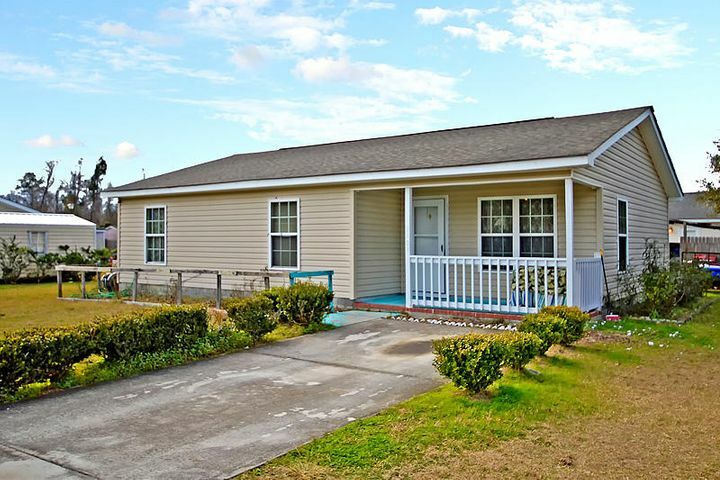 Disclosures mention Lender Owned ** This MLS Real Estate Listing 19002916 is in area 21 - James Island. 425 Riverland Drive is for sale at $248,000 in the Stono Terrace named neighborhood in Charleston SC. Home for sale on a 0.22 acre 0 - .5 Acre lot in Willow Walk neighborhood Charleston SC, Zip 29412. Floors are Ceramic Tile, Vinyl, Wood - Roof is Architectural Asphalt Shingle... Interior rooms feature Eat-In-Kitchen. Exterior items feature Fence - Metal Enclosed, Porch - Screened. fireplace: One. 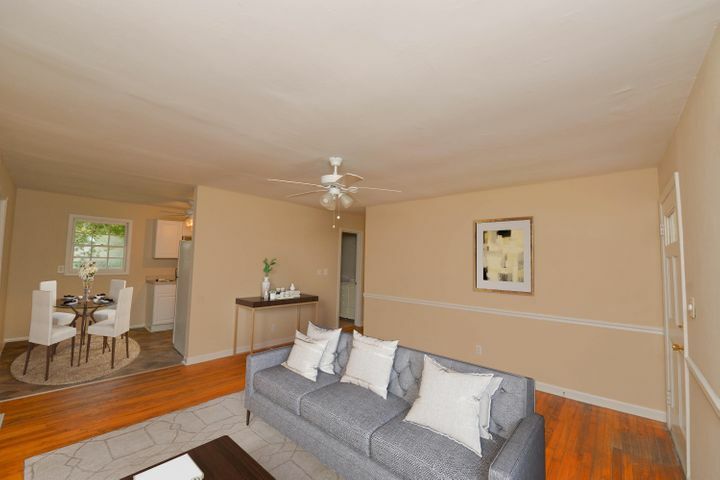 Parking is described as 1 Car Garage Off-Street Parking and Equipment and appliances include Ceiling Fan, Dishwasher, Dryer Connection, Electric - Range, Refrigerator, Washer Connection features and more. Interior amenities include Ceiling - Cathedral/Vaulted. Master bedroom features described as Ceiling Fan ... Annual property taxes are $896.37. . * Elementary school is James Island, Middle School James Island and High School is James Island Charter. This Charleston area home is listed at $248,500.00 in the Willow Walk named community inside zip 29412. ** This MLS Real Estate Listing 19001706 is in area 21 - James Island. 1153 Rivercrest Drive is for sale at $248,500 in the Willow Walk named neighborhood in Charleston SC. 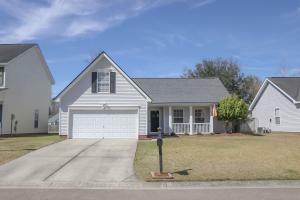 Home for sale on Level lot in area 61 - N. Chas/Summerville/Ladson-Dor. Home for sale on a 0.17 acre Level lot in Wescott Plantation neighborhood Summerville SC, Zip 29485. 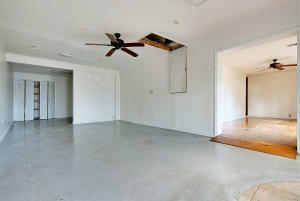 Floors are Vinyl, Wall to Wall Carpet - Roof is Asphalt Shingle... Interior rooms feature Eat-In-Kitchen, Family, Laundry, Living/Dining Combo. Exterior items feature Fence - Private, Porch - Screened. fireplace: One. Parking is described as 2 Car Garage Attached and Equipment and appliances include Ceiling Fan, Dishwasher, Dryer Connection, Electric - Range, Electric - Wall Oven, Garbage Disposal, Microwave Built-In features and more. . Master bedroom features described as Garden Tub/Shower, Upstairs, Walk-In Closets ... . HOA fees are $235 and paid Annually. * Elementary school is Fort Dorchester, Middle School Oakbrook and High School is Ft. Dorchester. This Summerville area home is listed at $249,000.00 in the Wescott Plantation named community inside zip 29485. ** This MLS Real Estate Listing 19003461 is in area 61 - N. Chas/Summerville/Ladson-Dor. 5123 Morrow Lane is for sale at $249,000 in the Wescott Plantation named neighborhood in Summerville SC. 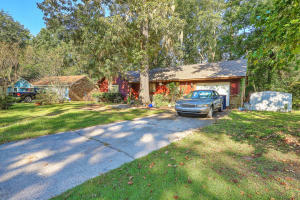 Home for sale on 0 - .5 Acre Level lot in area 21 - James Island. 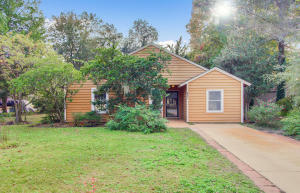 Home for sale on a 0.26 acre 0 - .5 Acre, Level lot in None neighborhood Charleston SC, Zip 29412. Floors are Wood - Roof is Asphalt Shingle... Interior rooms feature Eat-In-Kitchen, Family, Laundry, Living/Dining Combo. Exterior items feature Porch - Front Porch. Amenities include Bus Line, Cable TV Available, Trash Pickup . Parking is described as Off-Street Parking and Equipment and appliances include Dishwasher, Dryer Connection, Electric - Range, Washer Connection features and more. Interior amenities include Ceiling - Smooth, Window Treatments - All. Master bedroom features described as Downstairs ... Annual property taxes are $1,569.98. . * Elementary school is James Island, Middle School Ft. Johnson and High School is James Island Charter. This Charleston area home is listed at $249,000.00 in the None named community inside zip 29412. 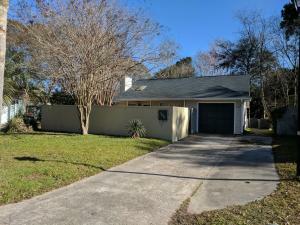 Disclosures mention Flood Insurance ** This MLS Real Estate Listing 19005962 is in area 21 - James Island. 1549 Grimball Road Ext is for sale at $249,000 in the None named neighborhood in Charleston SC. Home for sale on a 0.5 acre lot in Marsh Hall neighborhood North Charleston SC, Zip 29418. Floors are Ceramic Tile, Laminate, Wood - Roof is Fiberglass Shingles... Interior rooms feature Frog Attached. Exterior items feature Fence - Wooden Enclosed, Porch - Screened, Storage/Outbuilding. . Parking is described as 2 Car Garage and Equipment and appliances include Ceiling Fan, Dishwasher, Dryer Connection, Electric - Range, Garage Door Opener, Garbage Disposal, Microwave Built-In features and more. . Master bedroom features described as Ceiling Fan, Garden Tub/Shower, Upstairs, Walk-In Closets ... Annual property taxes are $1,027.47. HOA fees are $105 and paid Annually. * Elementary school is Oakbrook, Middle School Oakbrook and High School is Ft. Dorchester. 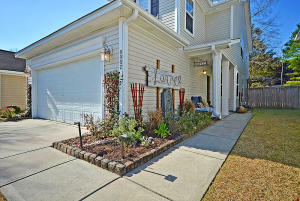 This North Charleston area home is listed at $249,900.00 in the Marsh Hall named community inside zip 29418. 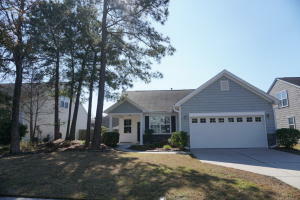 ** This MLS Real Estate Listing 19005902 is in area 61 - N. Chas/Summerville/Ladson-Dor. 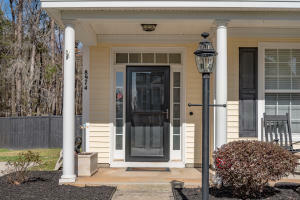 147 Hainsworth Drive is for sale at $249,900 in the Marsh Hall named neighborhood in North Charleston SC. 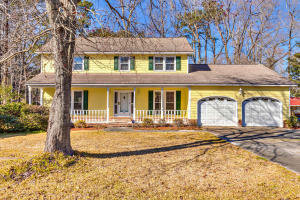 Home for sale on 0 - .5 Acre Corner Level lot in area 61 - N. Chas/Summerville/Ladson-Dor. Home for sale on a 0.25 acre 0 - .5 Acre, Corner, Level lot in Archdale neighborhood North Charleston SC, Zip 29418. Floors are Ceramic Tile, Laminate, Wall to Wall Carpet - Roof is Fiberglass Shingles... Interior rooms feature Family, Formal Living, Frog Attached, Laundry, Separate Dining. Exterior items feature Patio, Thermal Windows/Doors. fireplace: One. Parking is described as 2 Car Garage Attached and Equipment and appliances include Dishwasher, Dryer Connection, Electric - Range, Refrigerator, Washer Connection features and more. Interior amenities include Ceiling - Cathedral/Vaulted, Walk-In Closets. 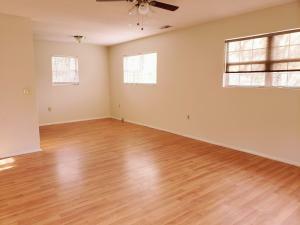 Master bedroom features described as Ceiling Fan, Downstairs, Walk-In Closets ... Annual property taxes are $3,368.2. . * Elementary school is Windsor Hill, Middle School River Oaks and High School is Ft. Dorchester. This North Charleston area home is listed at $250,000.00 in the Archdale named community inside zip 29418. 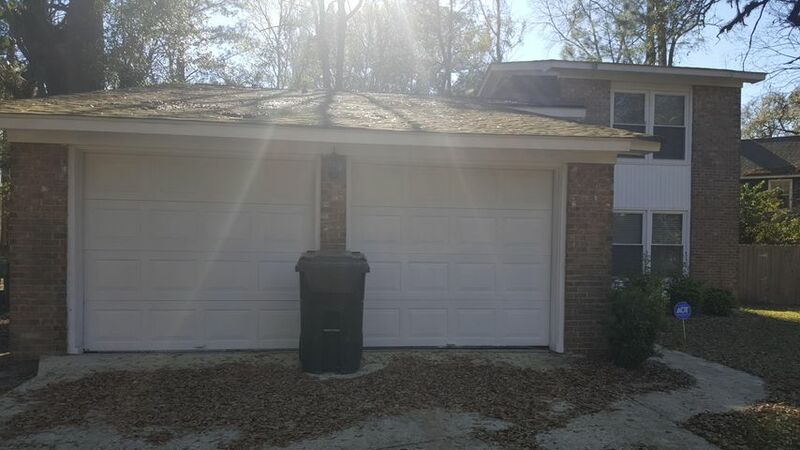 Disclosures mention Flood Insurance ** This MLS Real Estate Listing 18028221 is in area 61 - N. Chas/Summerville/Ladson-Dor. 100 Nightingale is for sale at $250,000 in the Archdale named neighborhood in North Charleston SC. 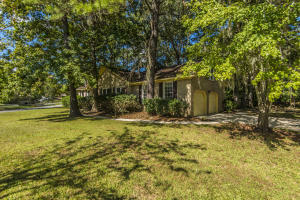 Home for sale on a 0.11 acre lot in St Johns Crossing neighborhood Johns Island SC, Zip 29455. Floors are Vinyl, Wall to Wall Carpet, Wood - Roof is Architectural... Interior rooms feature Laundry, Living/Dining Combo, Pantry. Exterior items feature Fence - Private, Patio, Porch - Front Porch. Amenities include Trash Pickup, Walk/Jog Trails fireplace: One. Parking is described as Off-Street Parking and Equipment and appliances include Ceiling Fan, Dishwasher, Dryer Connection, Electric - Range, Garbage Disposal, Washer Connection features and more. Interior amenities include Ceiling - Smooth. Master bedroom features described as Ceiling Fan, Downstairs, Walk-In Closets ...One year home warranty included with acceptable offer. Zero lender fees plus $1,000 closing credit towards third party costs on loan amount of at least $150,000 with use of preferred lender. Annual property taxes are $1,212.55. HOA fees are $404 and paid Annually. 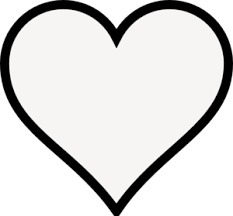 * Elementary school is Angel Oak, Middle School Haut Gap and High School is St. Johns. This Johns Island area home is listed at $250,000.00 in the St Johns Crossing named community inside zip 29455. 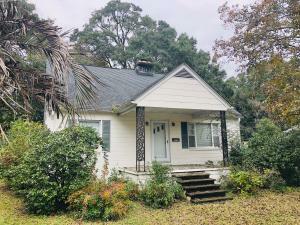 ** This MLS Real Estate Listing 19005388 is in area 23 - Johns Island. 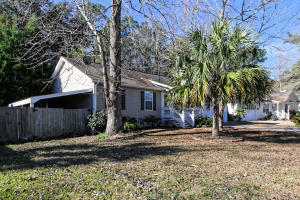 1754 Bee Balm Road is for sale at $250,000 in the St Johns Crossing named neighborhood in Johns Island SC. 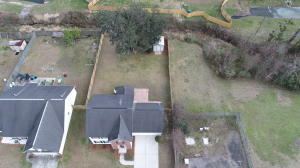 Home for sale on a 0.23 acre 0 - .5 Acre lot in Riverchase neighborhood Charleston SC, Zip 29418. 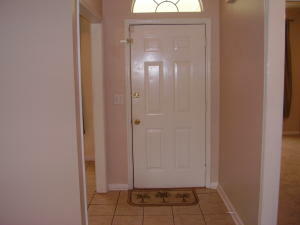 Floors are Ceramic Tile, Laminate, Wall to Wall Carpet - Roof is Asphalt Shingle... Interior rooms feature Eat-In-Kitchen, Family, Foyer, Laundry, Pantry, Separate Dining. Exterior items feature Fence - Wooden Enclosed, Gutters, Patio, Storage/Outbuilding. fireplace: One. Parking is described as 2 Car Garage and Equipment and appliances include Ceiling Fan, Dishwasher, Dryer Connection, Garage Door Opener, Garbage Disposal, Gas - Cooktop, Refrigerator features and more. Interior amenities include Ceiling - Blown, Ceiling - Cathedral/Vaulted, Garden Tub/Shower, Walk-In Closets, Wet Bar. Master bedroom features described as Ceiling Fan, Downstairs, Garden Tub/Shower, Walk-In Closets ... Annual property taxes are $1,086.9. HOA fees are $105 and paid Annually. * Elementary school is Eagle Nest, Middle School River Oaks and High School is Ft. Dorchester. This Charleston area home is listed at $255,000.00 in the Riverchase named community inside zip 29418. 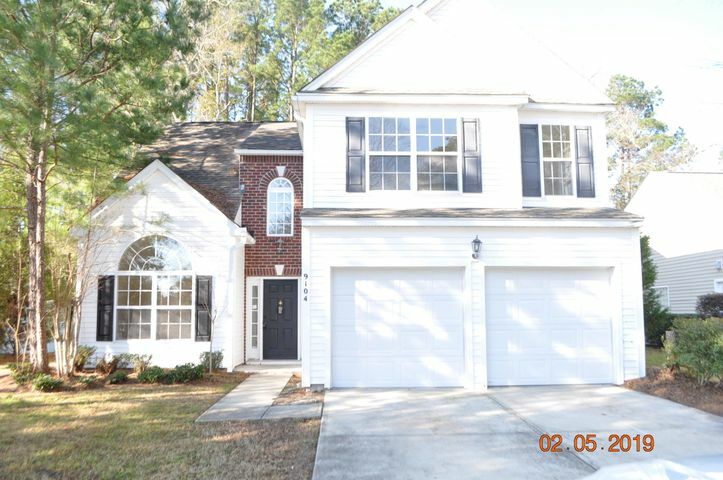 ** This MLS Real Estate Listing 18027155 is in area 61 - N. Chas/Summerville/Ladson-Dor. 5308 Sumters Run is for sale at $255,000 in the Riverchase named neighborhood in Charleston SC. Home for sale on High Level lot in area 11 - West of the Ashley Inside I-526. Home for sale on a 0.16 acre High, Level lot in Citadel Woods neighborhood Charleston SC, Zip 29407. Floors are Ceramic Tile, Vinyl, Wall to Wall Carpet - Roof is Architectural... Interior rooms feature Eat-In-Kitchen, Laundry, Living/Dining Combo, Pantry. Exterior items feature Fence - Private, Fence - Wooden Enclosed, Porch - Full Front, Some Storm Wnd/Doors, Storm Doors. Amenities include Cable TV Available, Trash Pickup fireplace: Great Room. Parking is described as 1 Car Garage Attached Off-Street Parking and Equipment and appliances include Ceiling Fan, Dishwasher, Dryer Connection, Electric - Range, Garbage Disposal, Microwave Built-In, Washer Connection features and more. Interior amenities include Ceiling - Blown, Ceiling - Cathedral/Vaulted, Walk-In Closets. 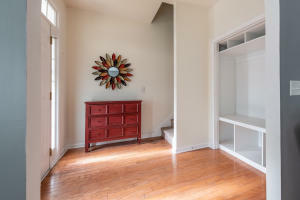 Master bedroom features described as Ceiling Fan, Downstairs, Walk-In Closets ... . HOA fees are $0 . * Elementary school is Oakland, Middle School West Ashley and High School is West Ashley. This Charleston area home is listed at $255,000.00 in the Citadel Woods named community inside zip 29407. ** This MLS Real Estate Listing 19006290 is in area 11 - West of the Ashley Inside I-526. 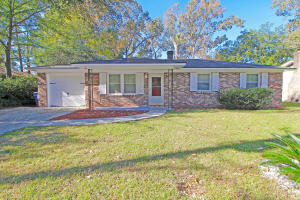 553 Beechcraft Street is for sale at $255,000 in the Citadel Woods named neighborhood in Charleston SC. Home for sale on Other (Use Remarks) lot in area 61 - N. Chas/Summerville/Ladson-Dor. 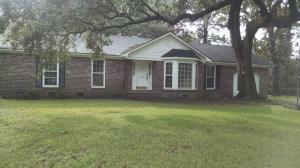 Home for sale on a 0.2 acre Other (Use Remarks) lot in Summerhaven neighborhood Ladson SC, Zip 29456. Floors are Ceramic Tile, Vinyl, Wall to Wall Carpet - Roof is Asphalt Shingle... Interior rooms feature Family, Formal Living, Foyer, Laundry, Living/Dining Combo, Office. . Amenities include Neighborhood Pool, Play Park, Trash Pickup, Walk/Jog Trails . Parking is described as 2 Car Garage and Equipment and appliances include Ceiling Fan, Dishwasher, Dryer Connection, Electric - Range, Garbage Disposal, Satellite Dish, Washer Connection features and more. Interior amenities include Ceiling - Smooth, Garden Tub/Shower, Walk-In Closets. 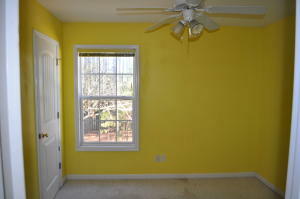 Master bedroom features described as Ceiling Fan, Garden Tub/Shower, Upstairs, Walk-In Closets ... Annual property taxes are $4,719.63. HOA fees are $320 and paid Annually. * Elementary school is Spann, Middle School Rollings and High School is Ashley Ridge. 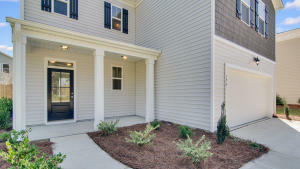 This Ladson area home is listed at $259,585.00 in the Summerhaven named community inside zip 29456. 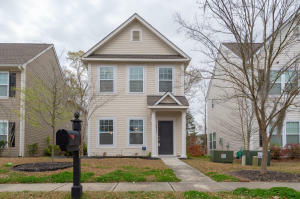 ** This MLS Real Estate Listing 18033029 is in area 61 - N. Chas/Summerville/Ladson-Dor. 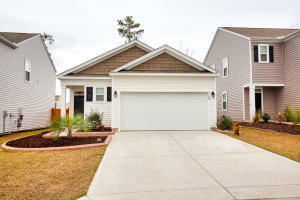 109 Hollytree Circle is for sale at $259,585 in the Summerhaven named neighborhood in Ladson SC. Home for sale on Corner High lot in area 12 - West of the Ashley Outside I-526. Home for sale on a 0.23 acre Corner, High lot in Air Harbor neighborhood Charleston SC, Zip 29407. Floors are Ceramic Tile, Wall to Wall Carpet, Wood - ... Interior rooms feature Eat-In-Kitchen, Family, Formal Living, Laundry. Exterior items feature Fence - Metal Enclosed, Patio, Porch - Screened. Amenities include Bus Line, Trash Pickup, Walk/Jog Trails . Parking is described as 2 Car Carport Attached and Equipment and appliances include Dryer Connection, Washer Connection features and more. . Master bedroom features described as Downstairs ... Annual property taxes are $1,101.24. . * Elementary school is Oakland, Middle School St. Andrews and High School is West Ashley. This Charleston area home is listed at $259,900.00 in the Air Harbor named community inside zip 29407. 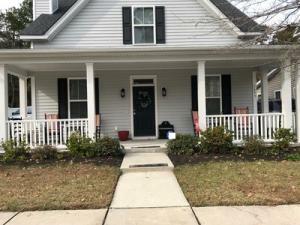 Disclosures mention Flood Insurance ** This MLS Real Estate Listing 18032847 is in area 12 - West of the Ashley Outside I-526. 304 Stinson Drive is for sale at $259,900 in the Air Harbor named neighborhood in Charleston SC.